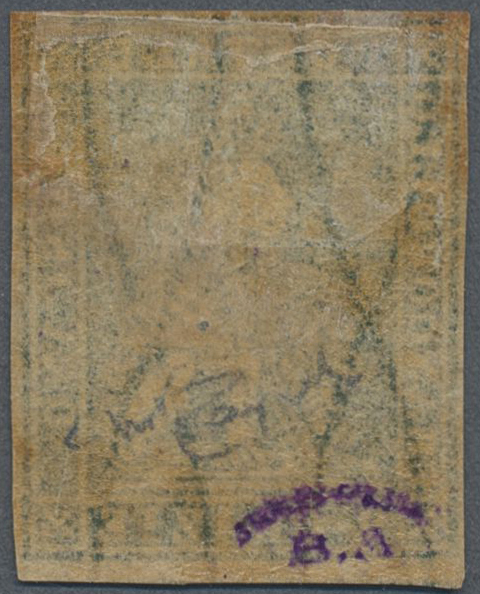 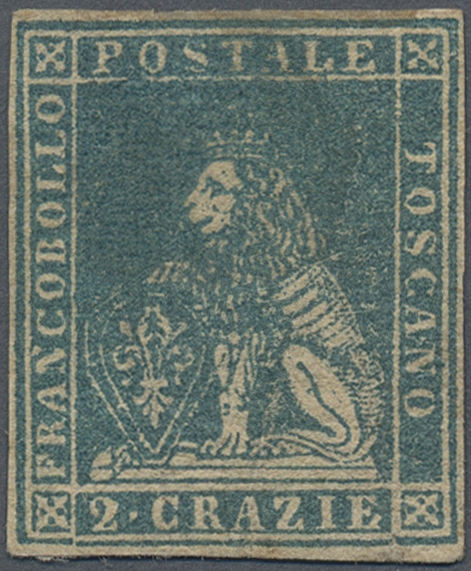 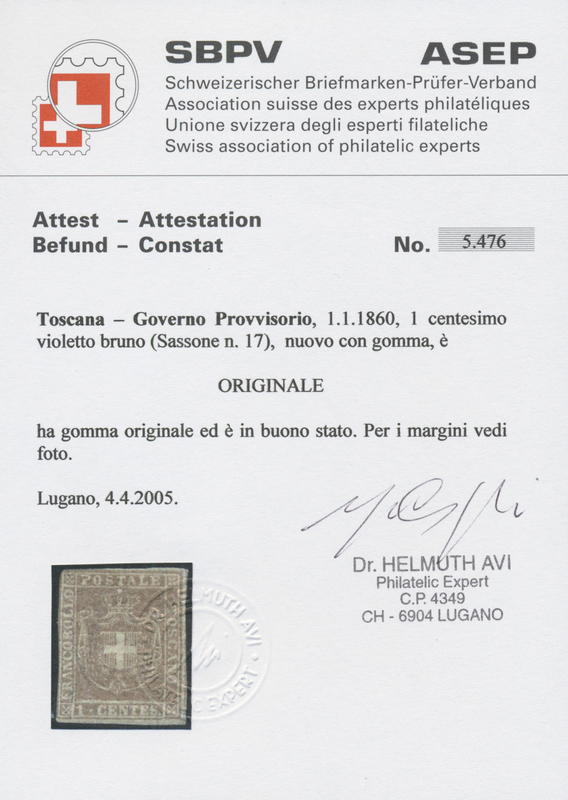 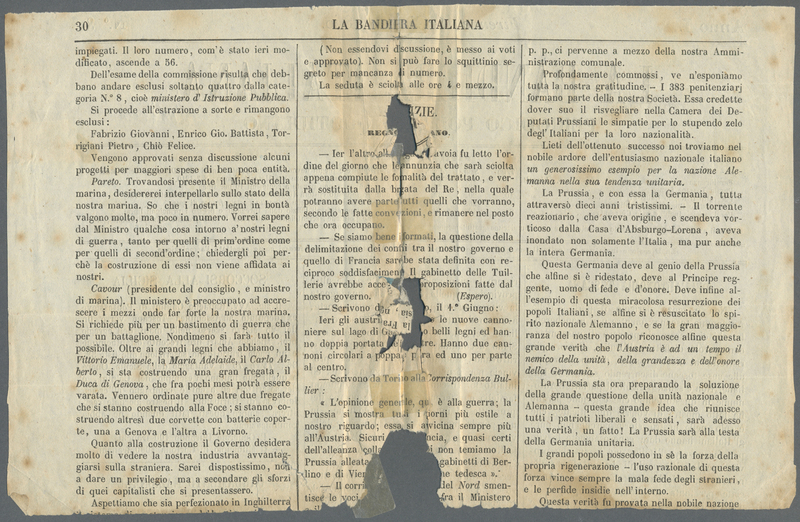 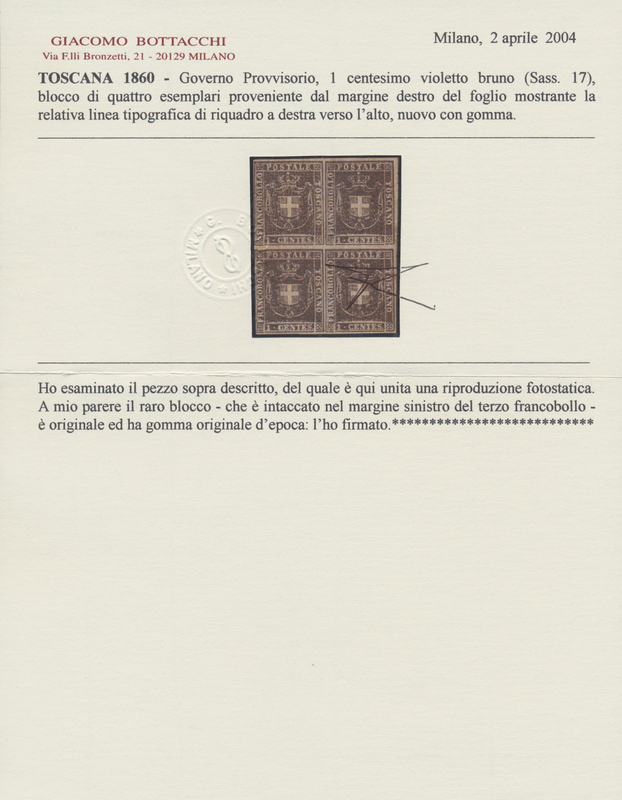 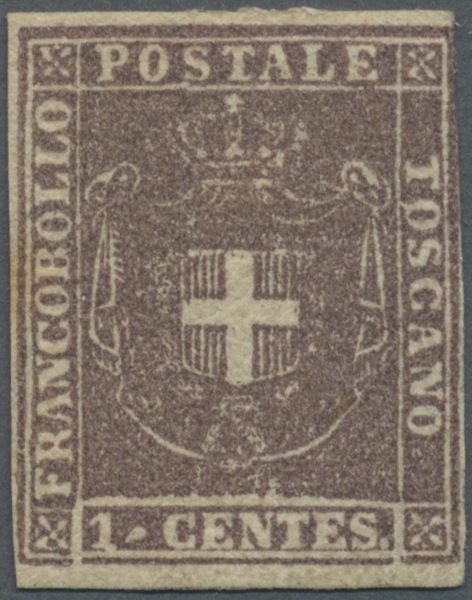 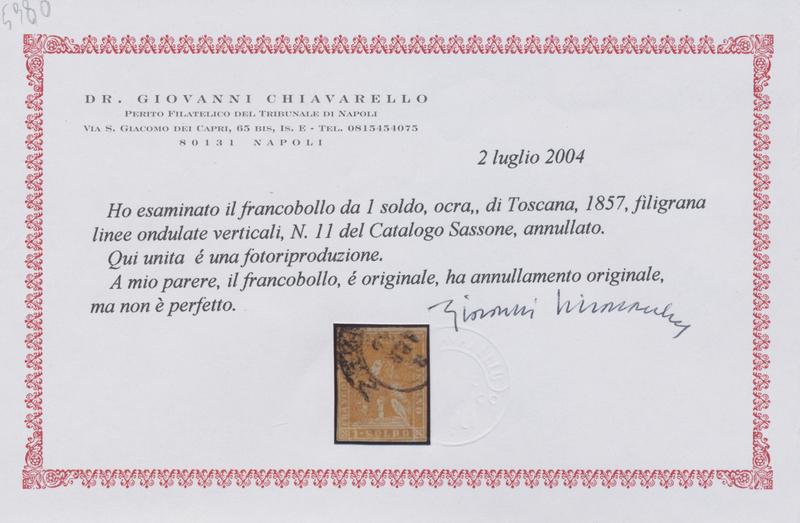 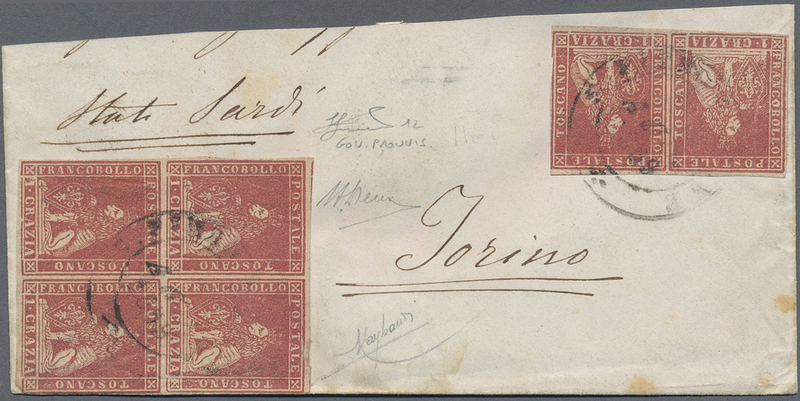 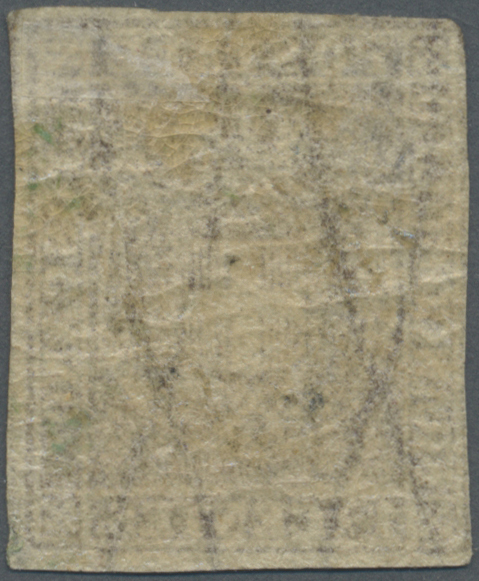 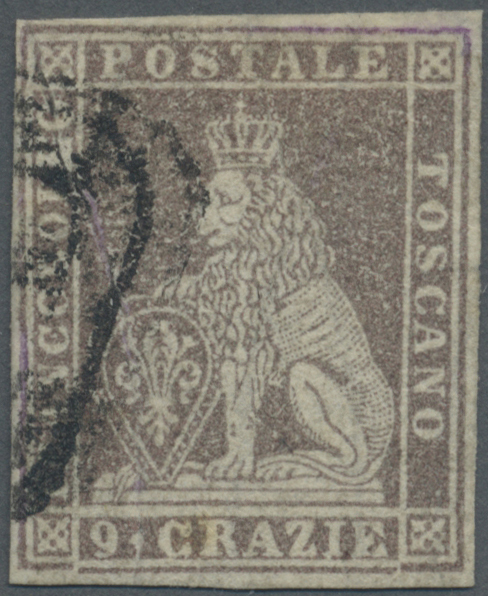 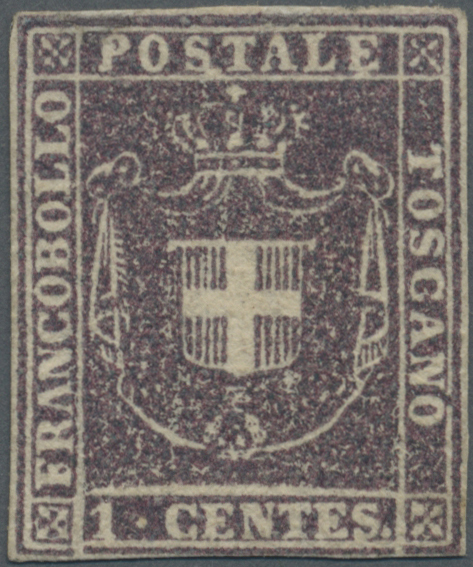 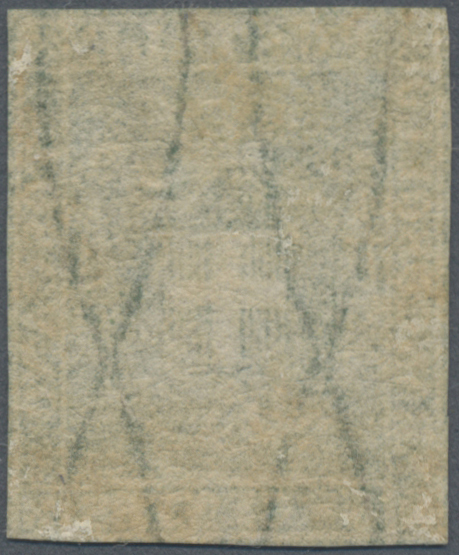 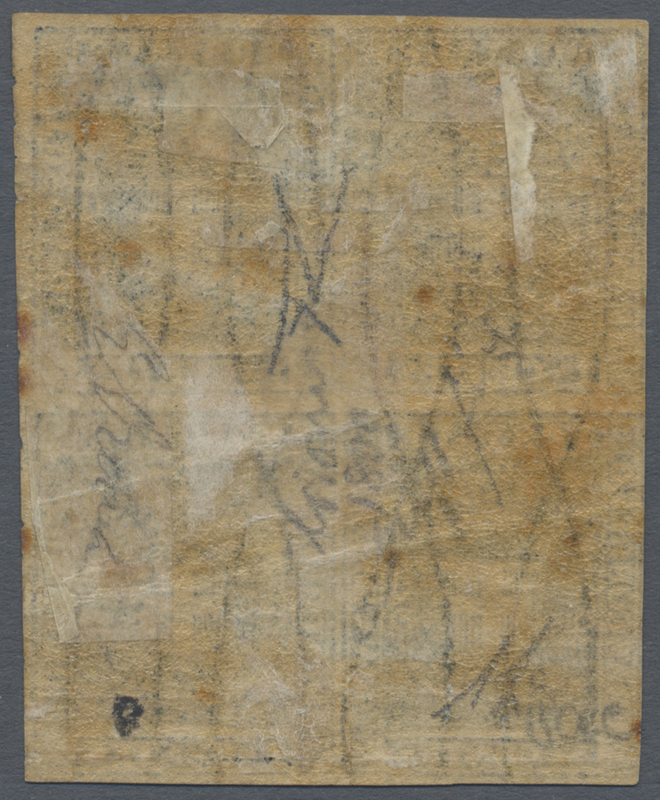 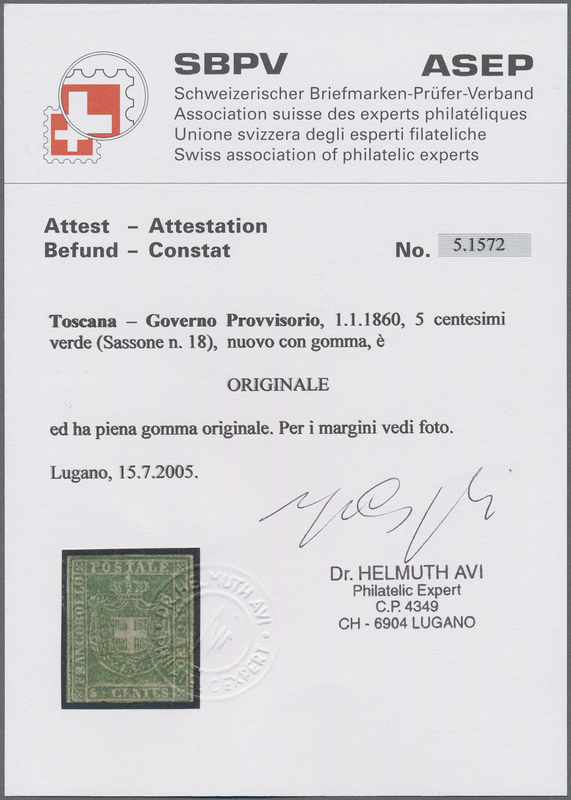 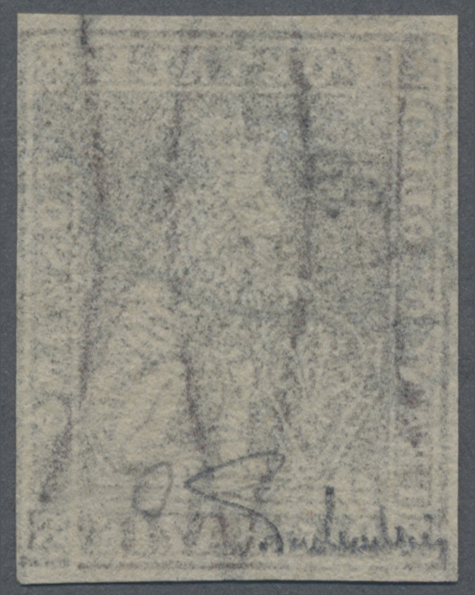 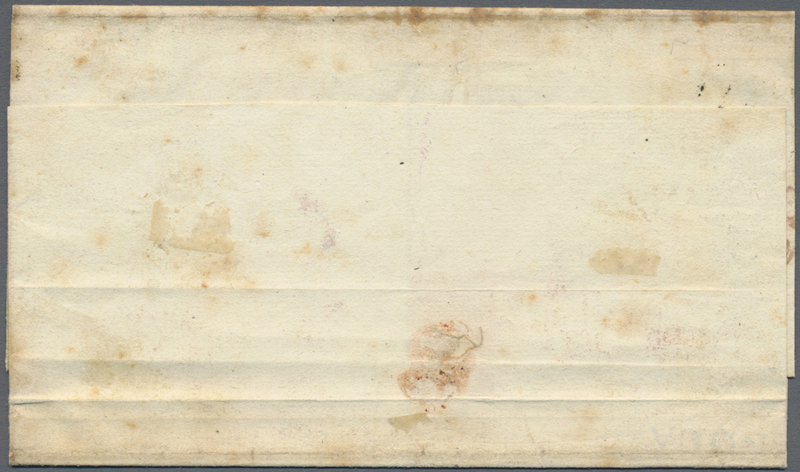 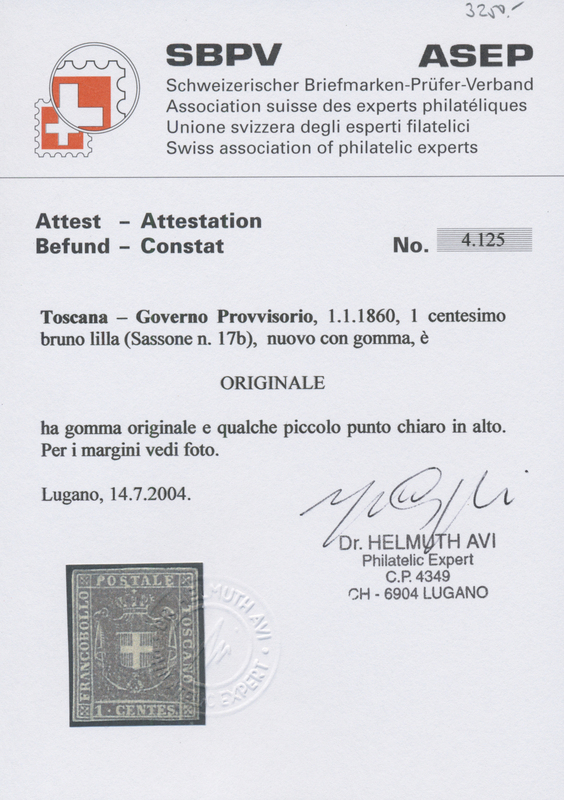 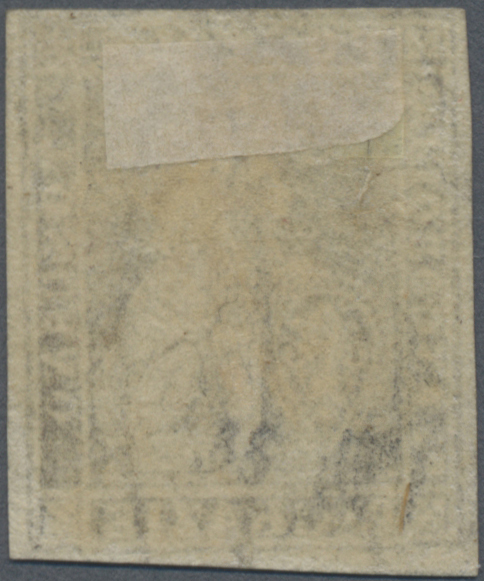 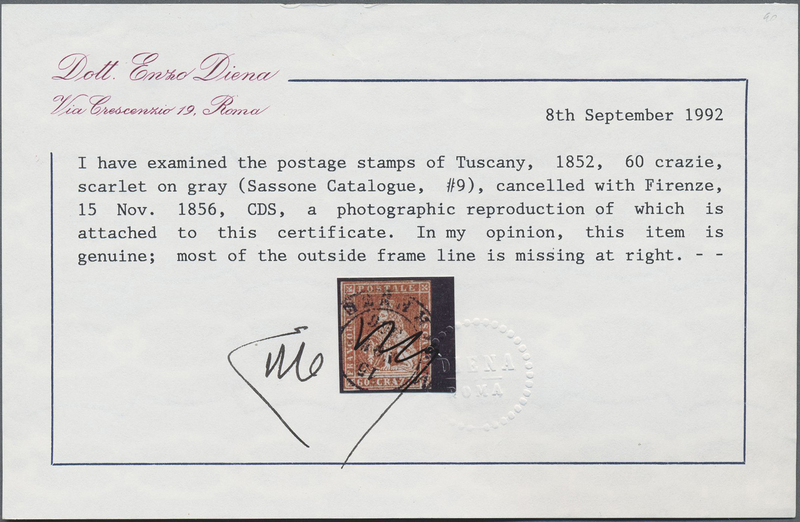 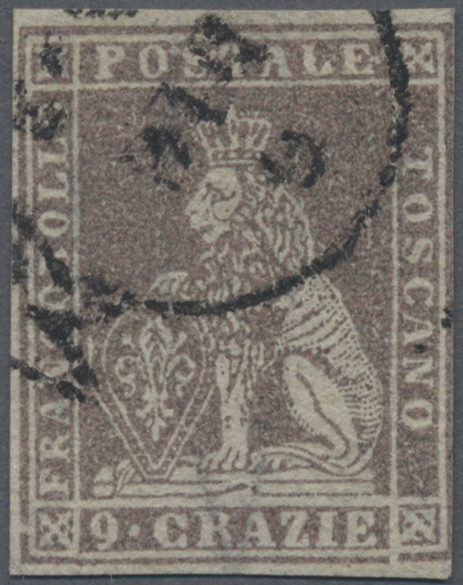 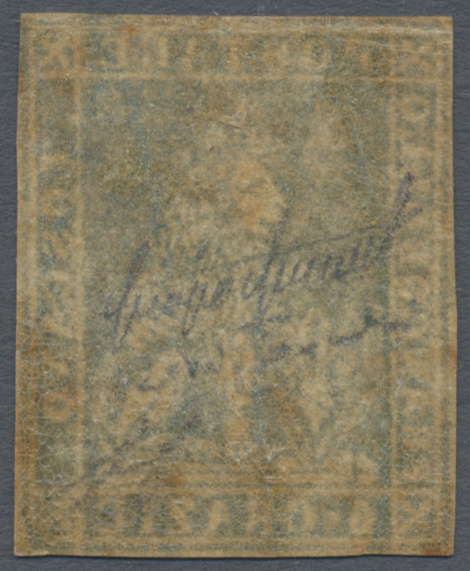 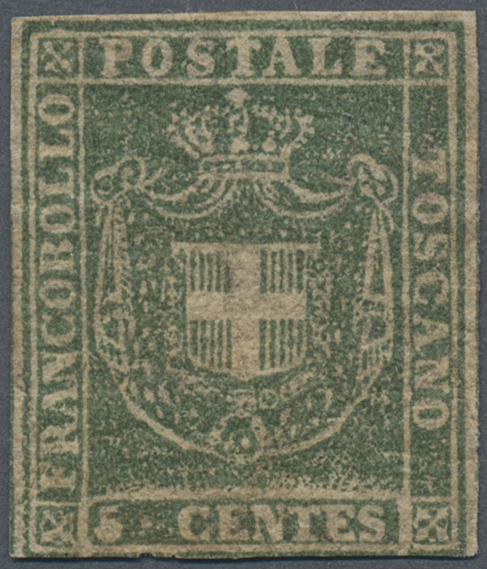 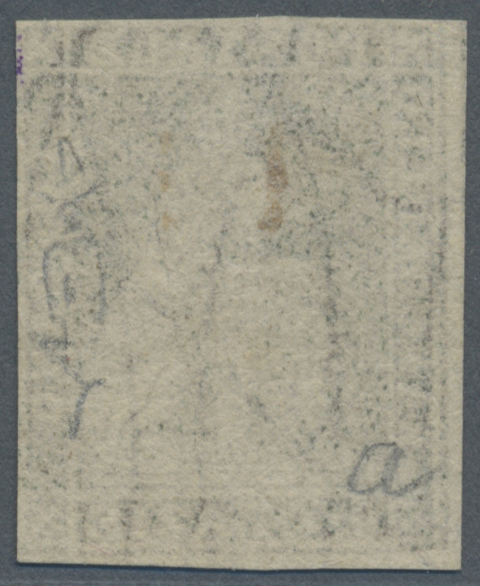 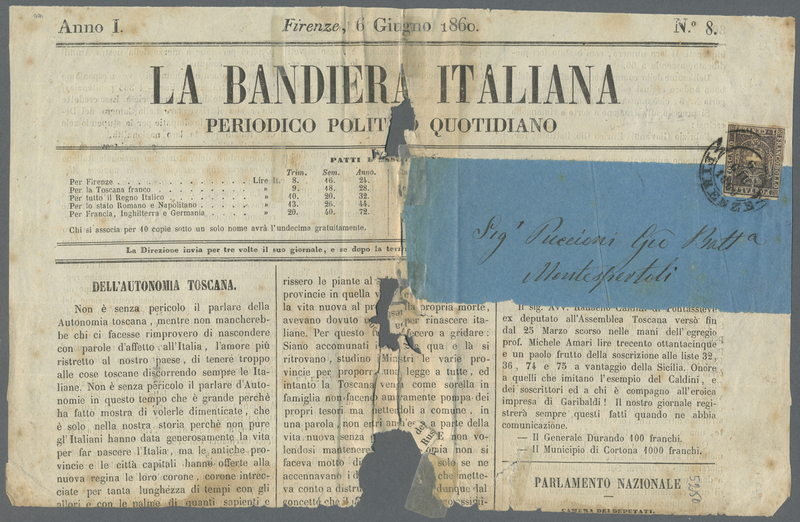 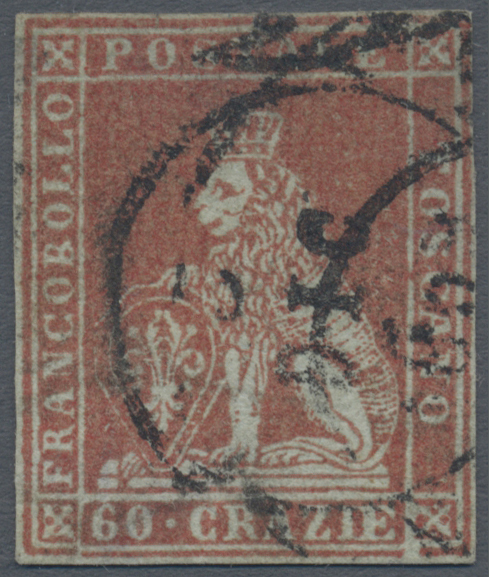 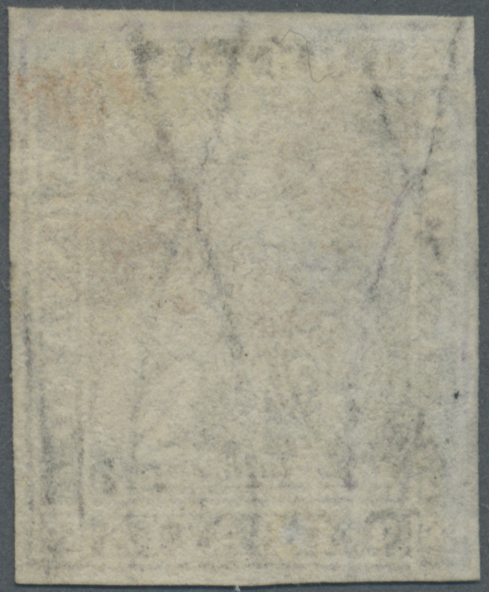 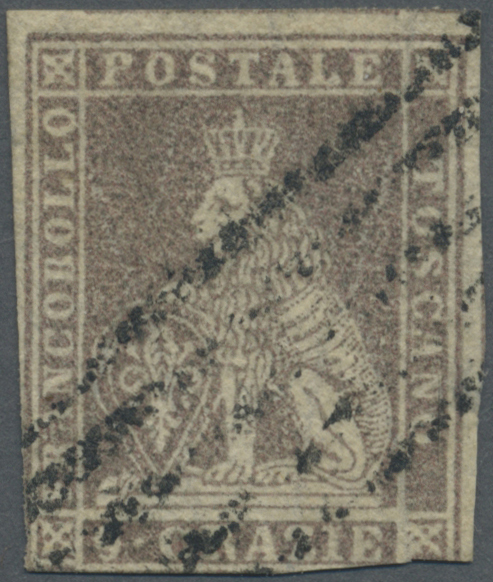 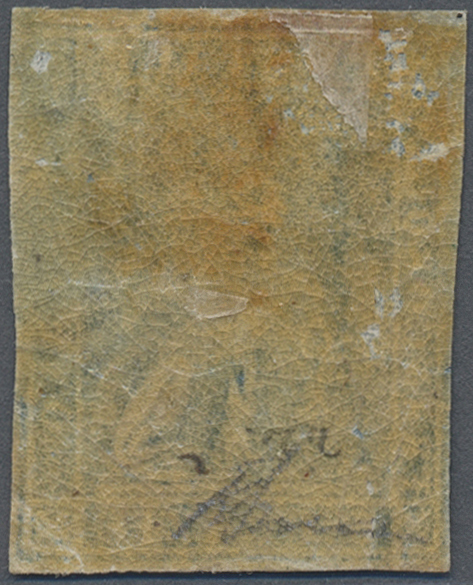 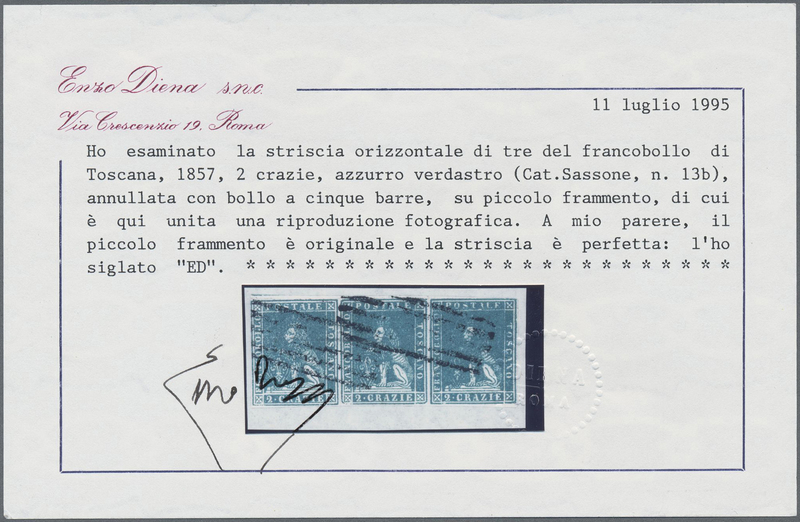 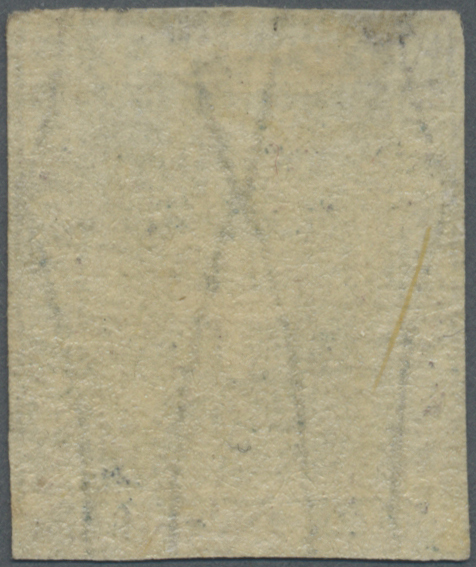 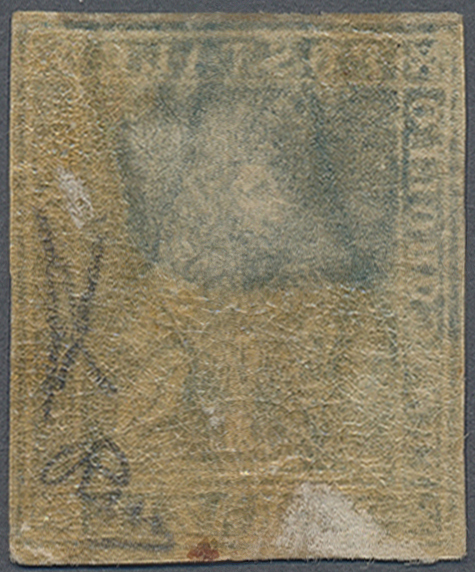 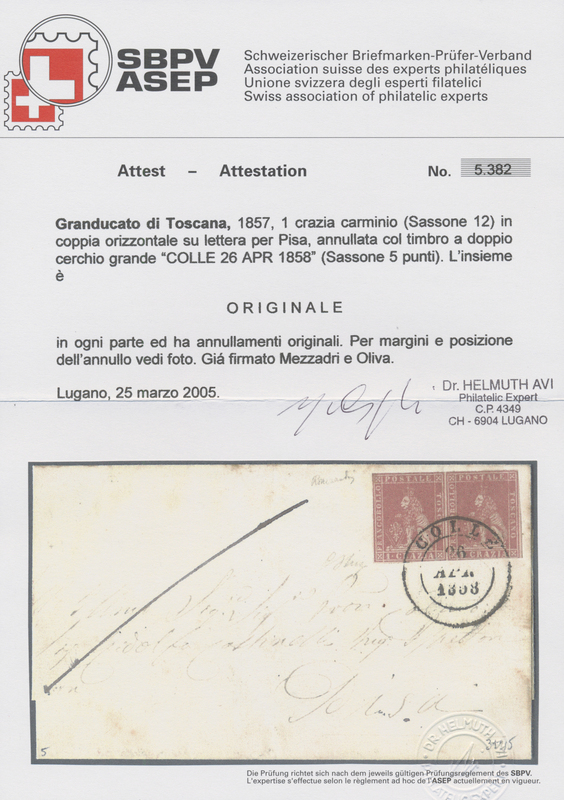 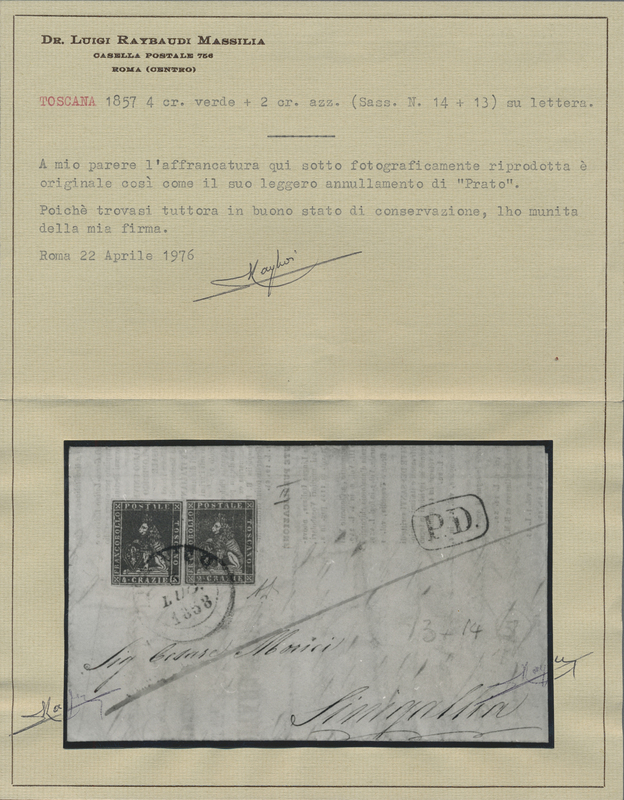 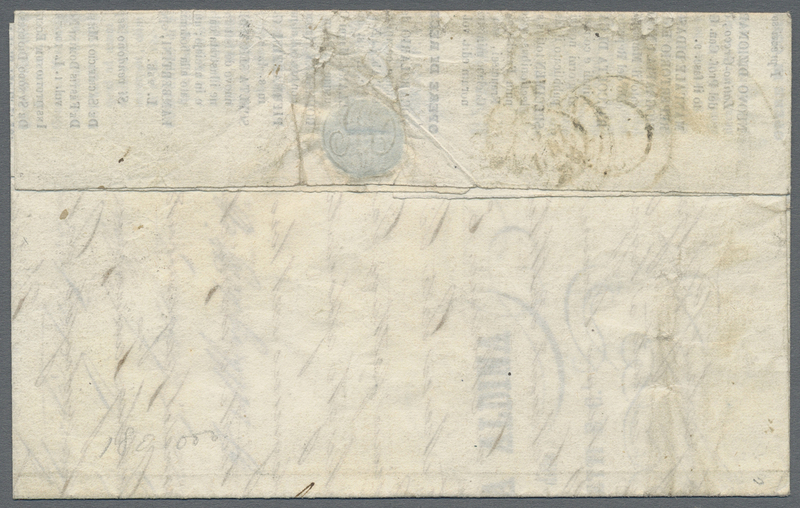 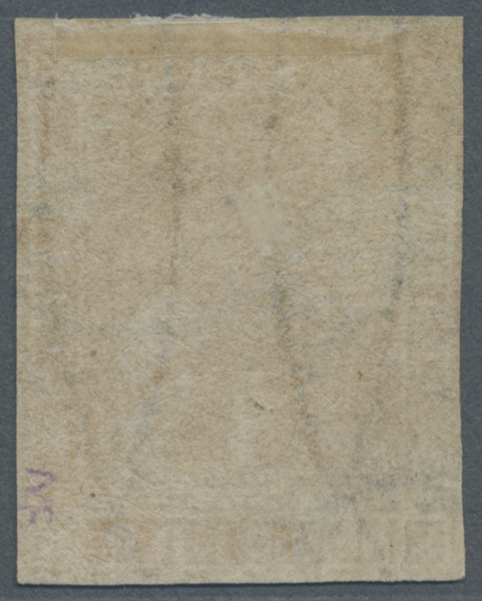 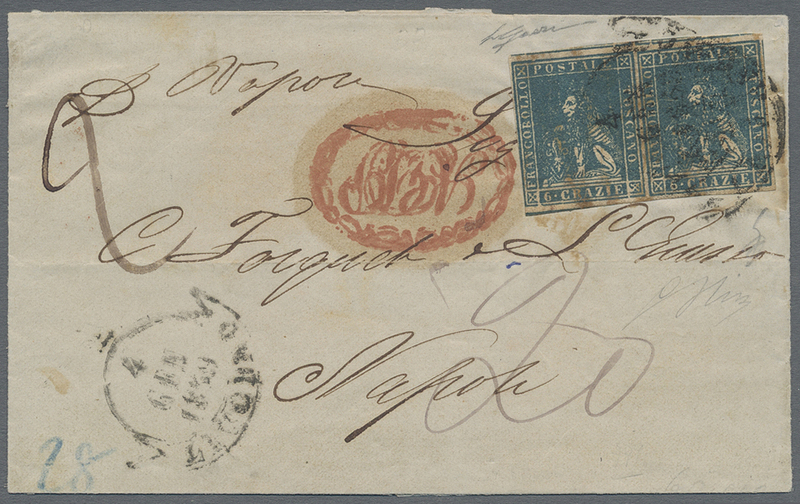 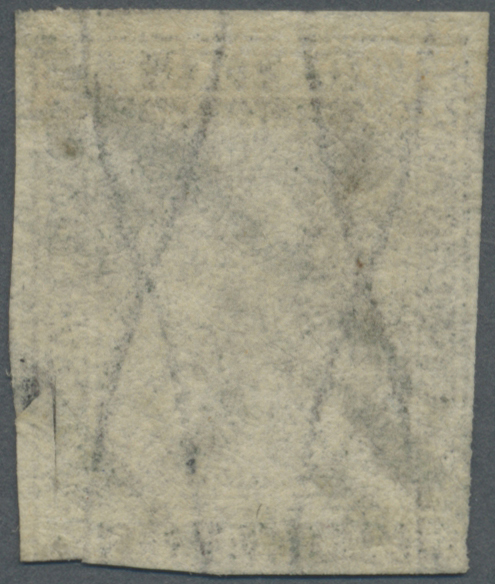 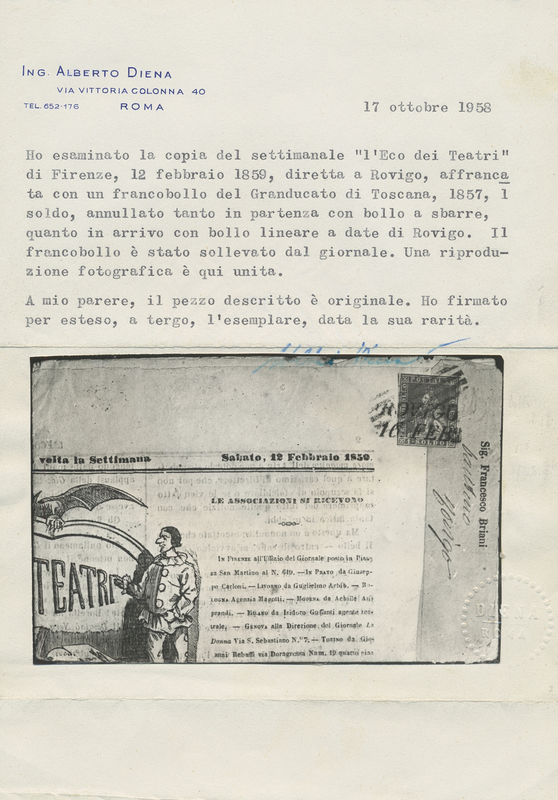 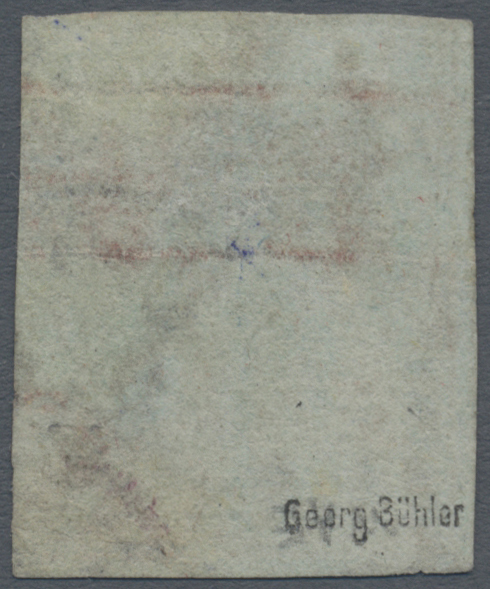 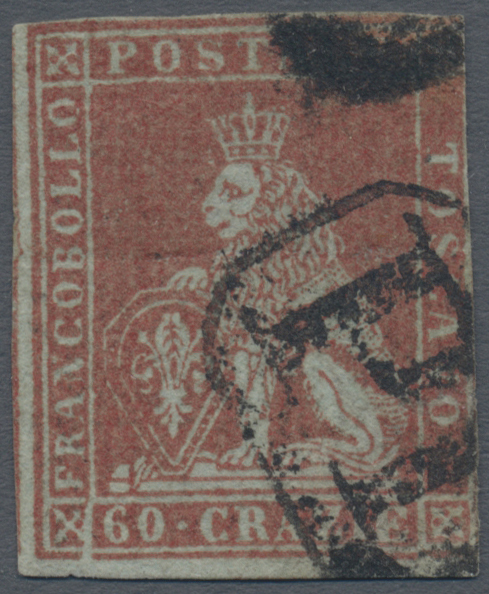 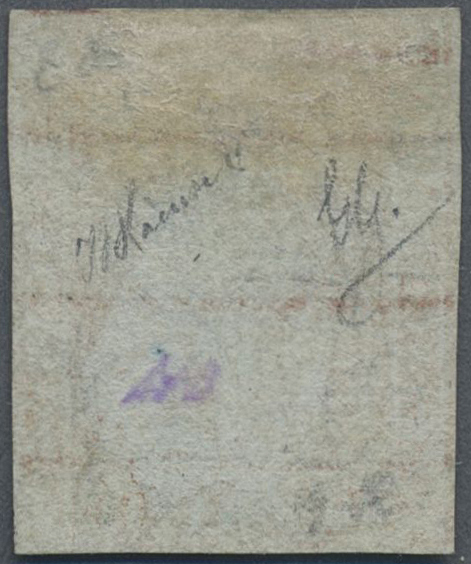 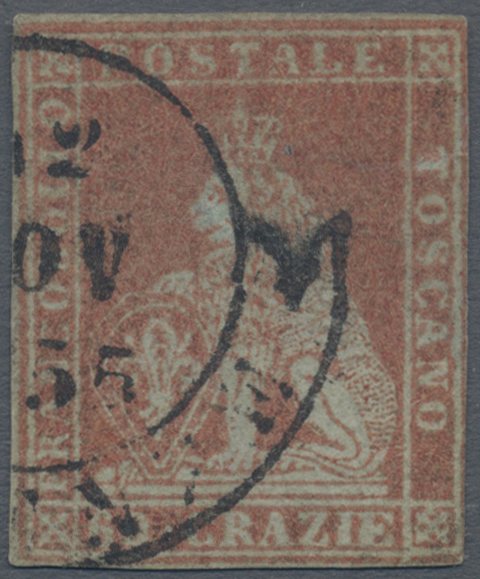 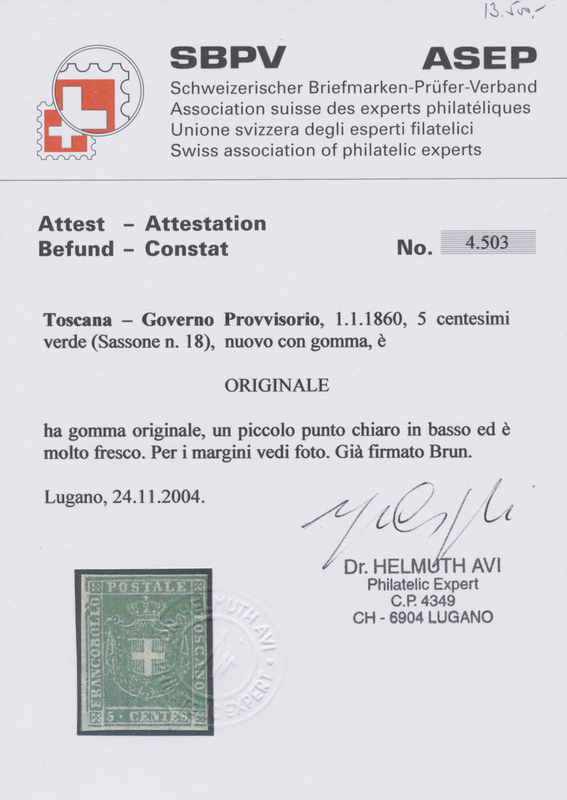 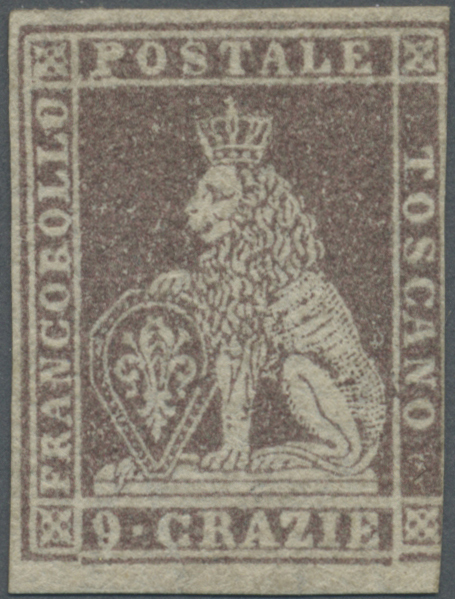 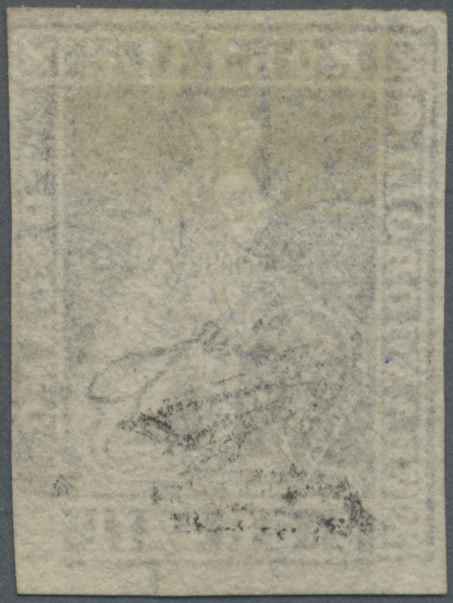 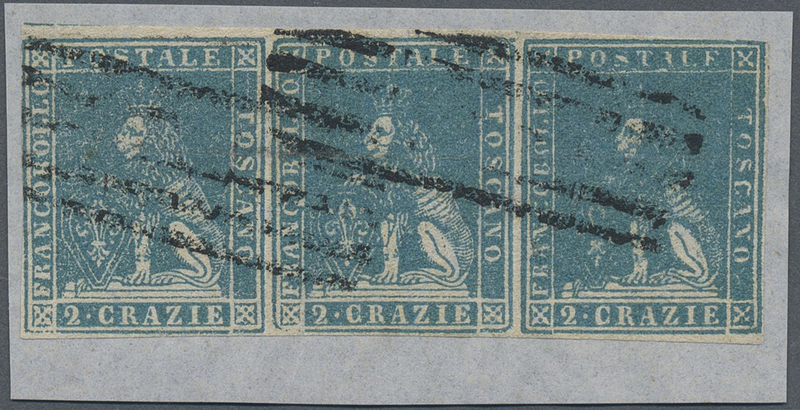 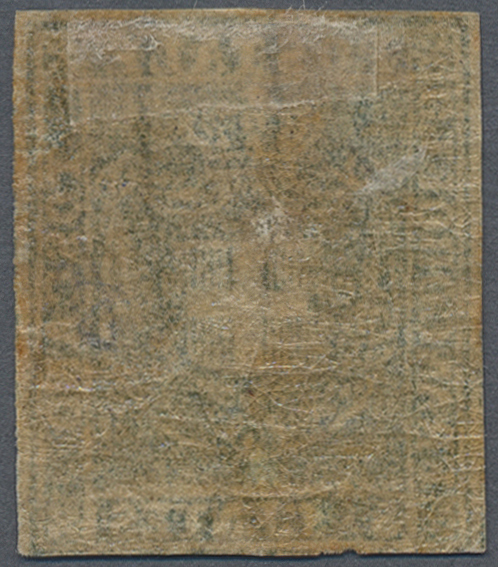 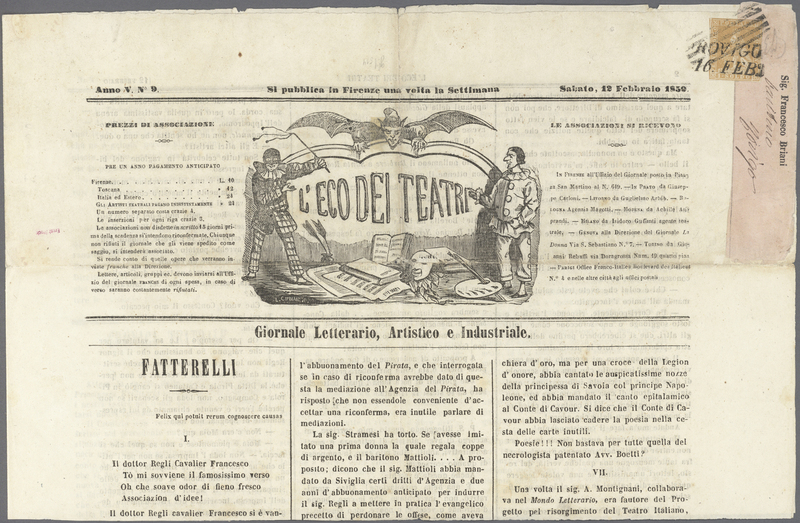 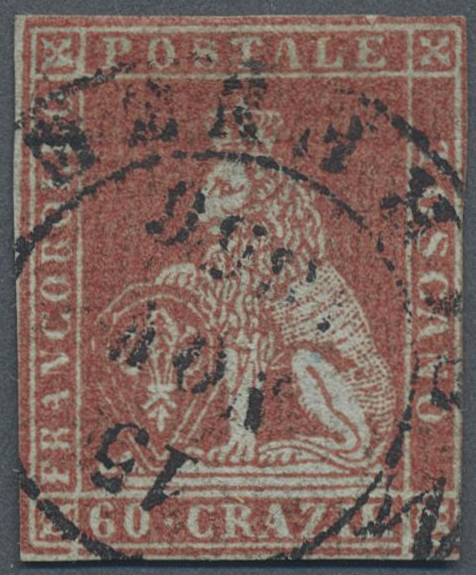 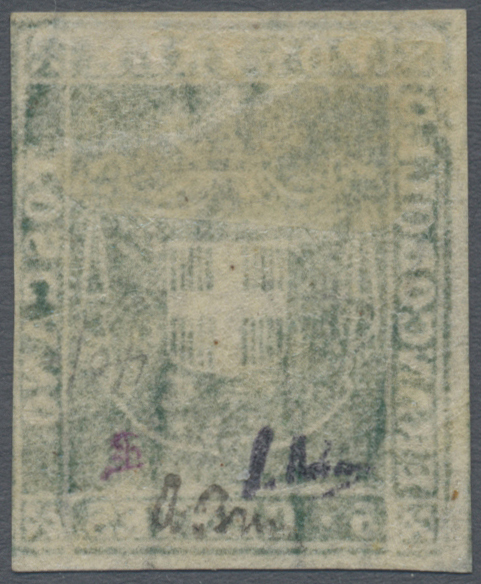 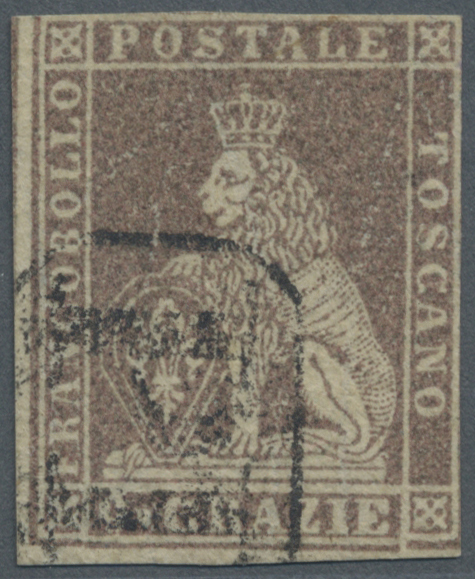 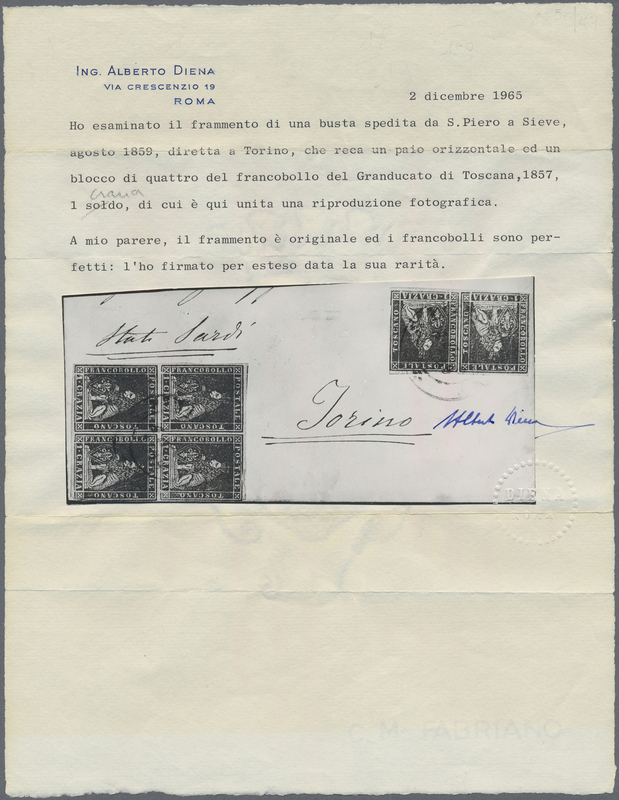 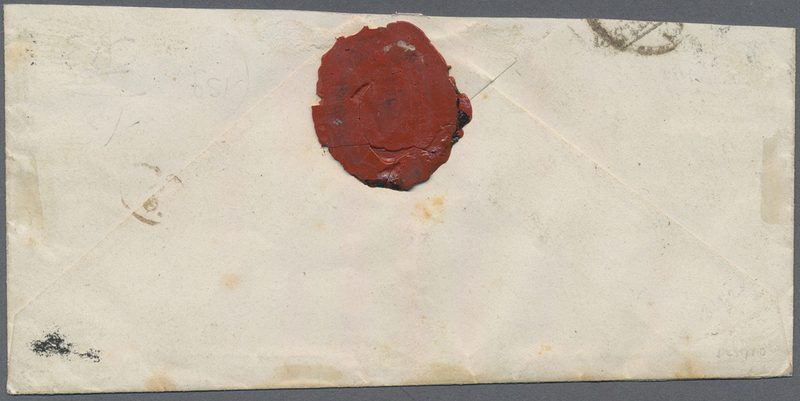 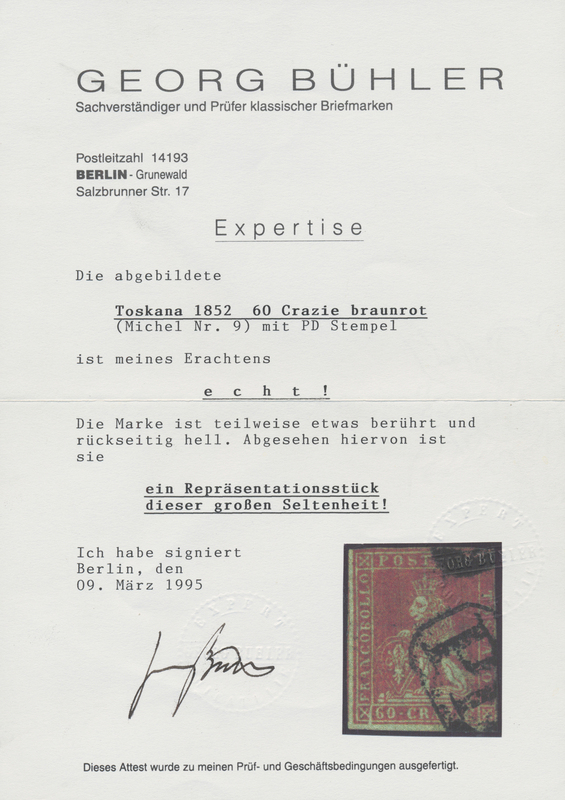 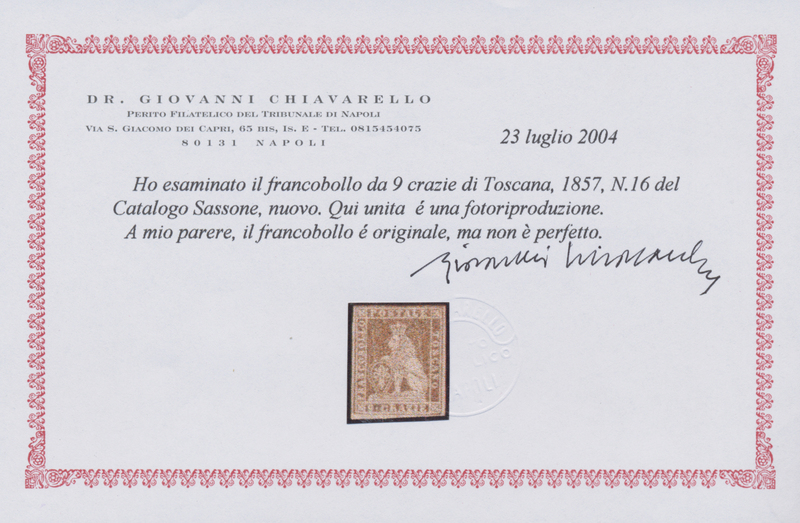 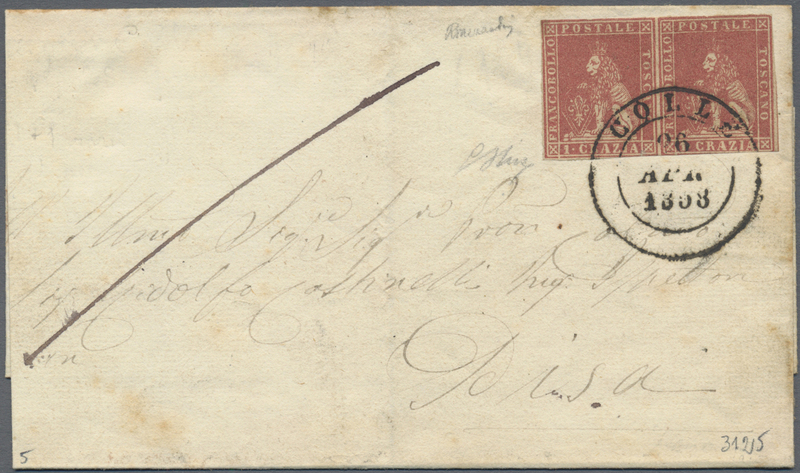 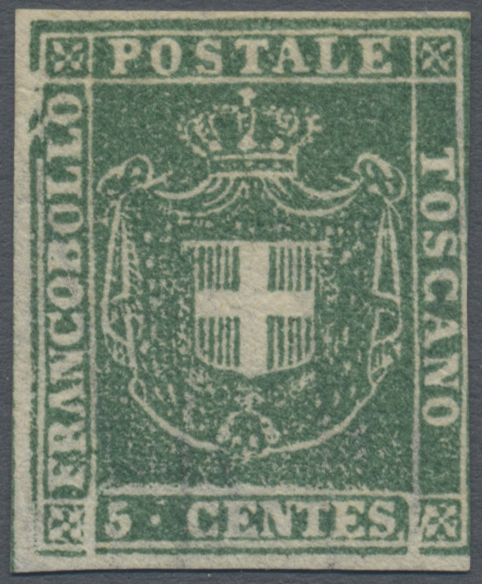 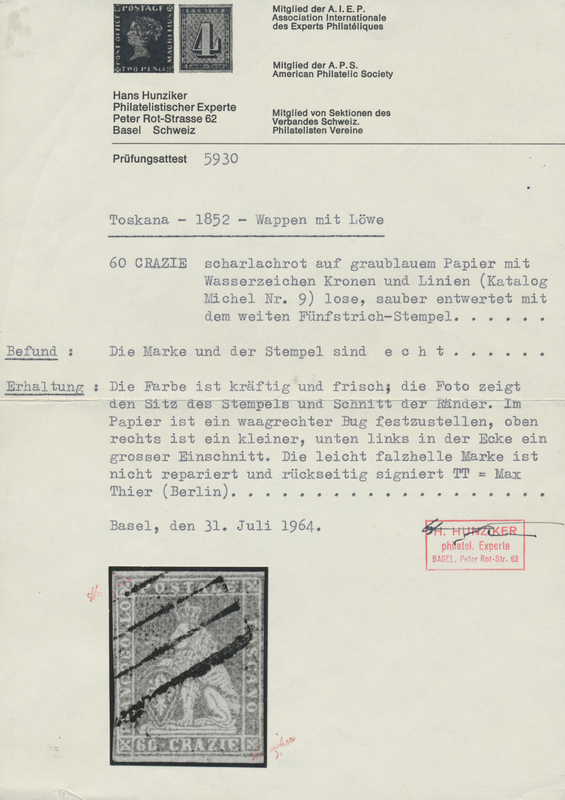 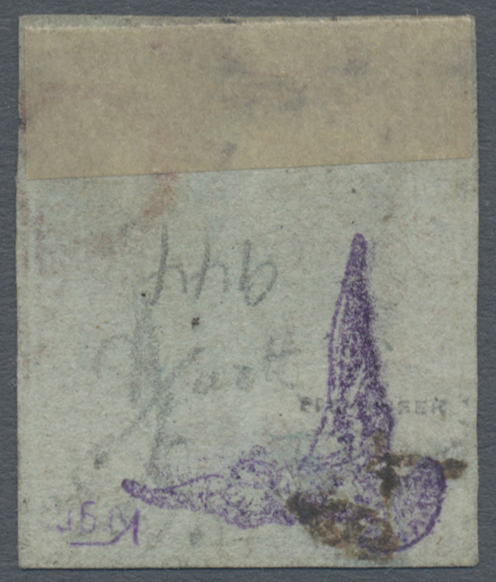 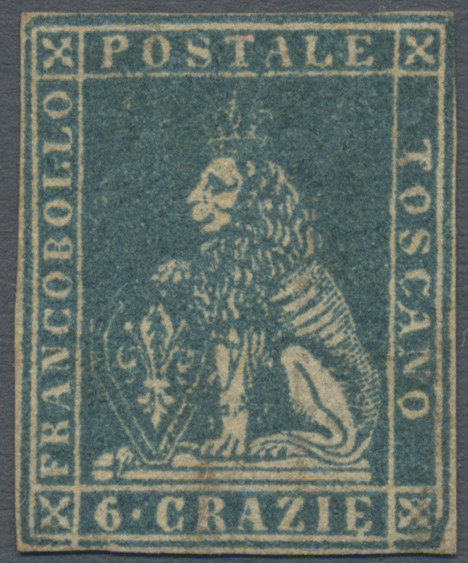 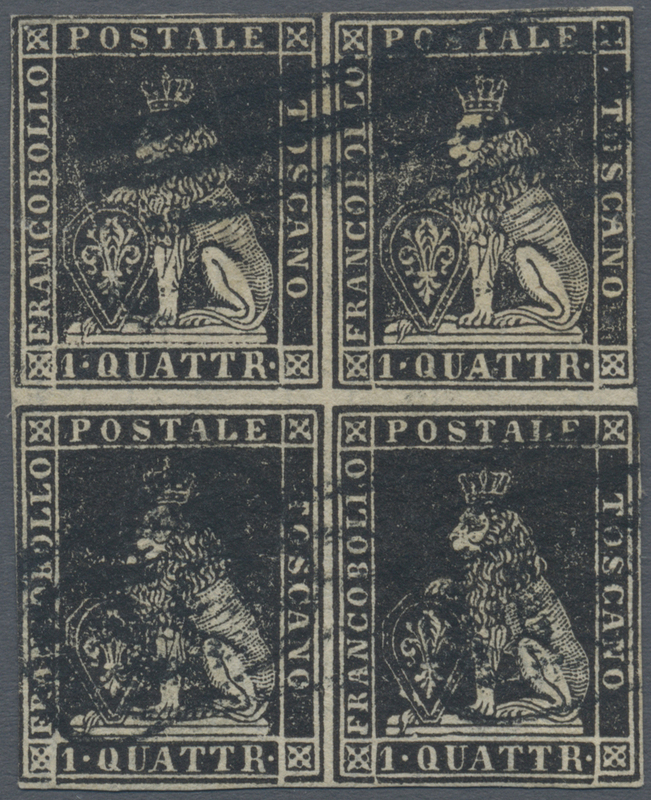 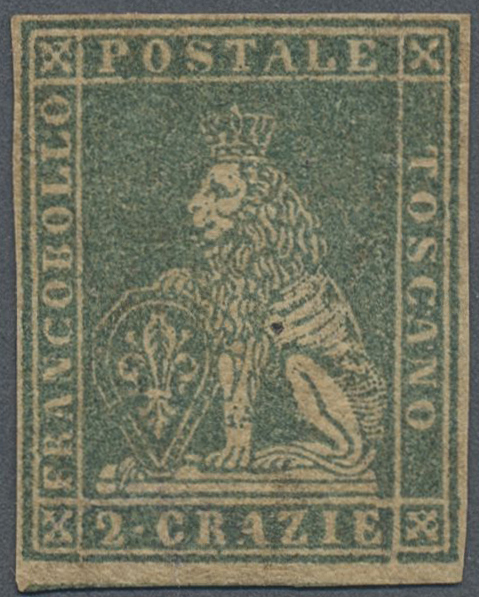 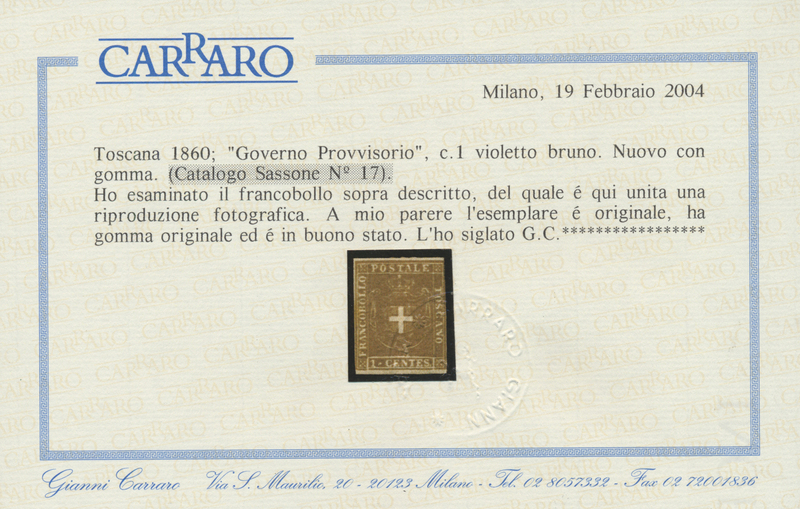 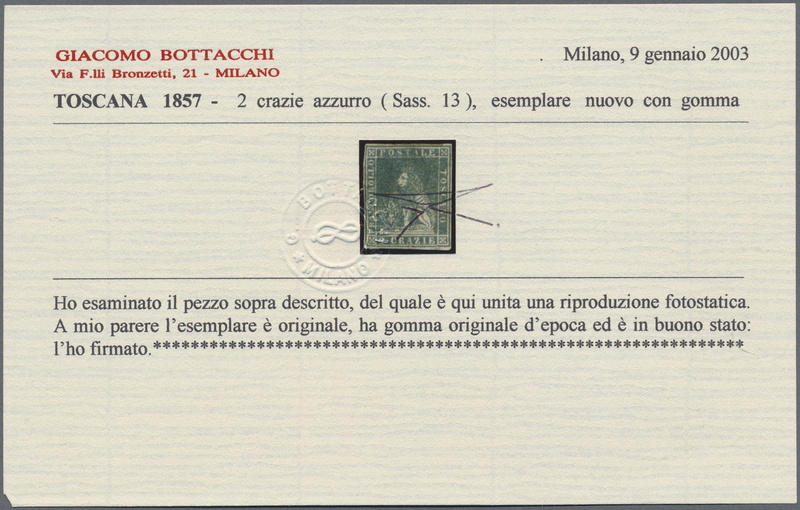 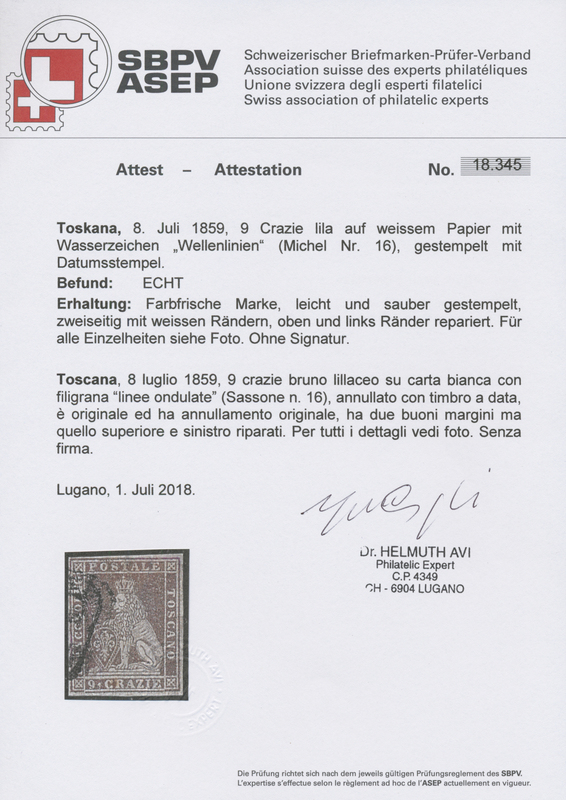 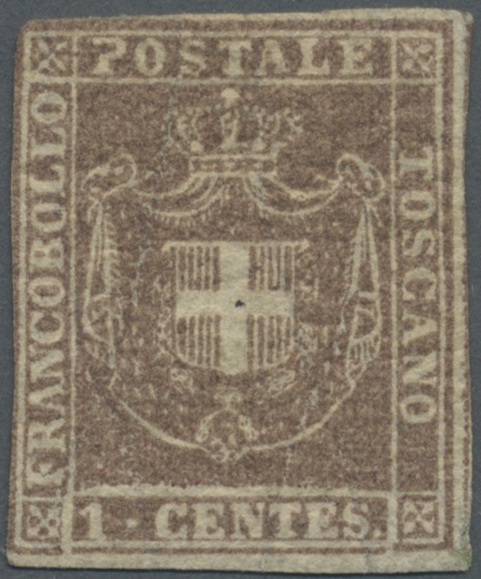 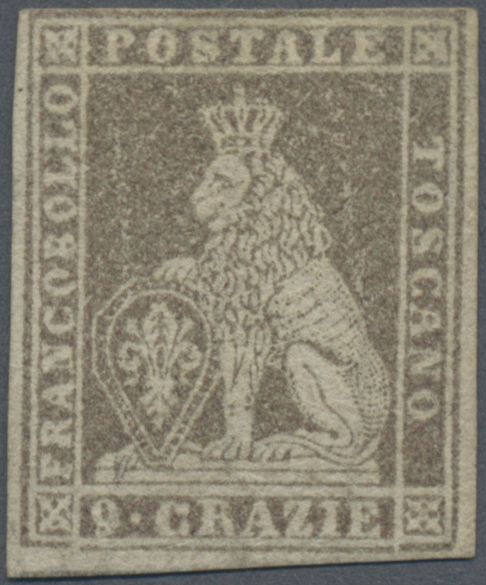 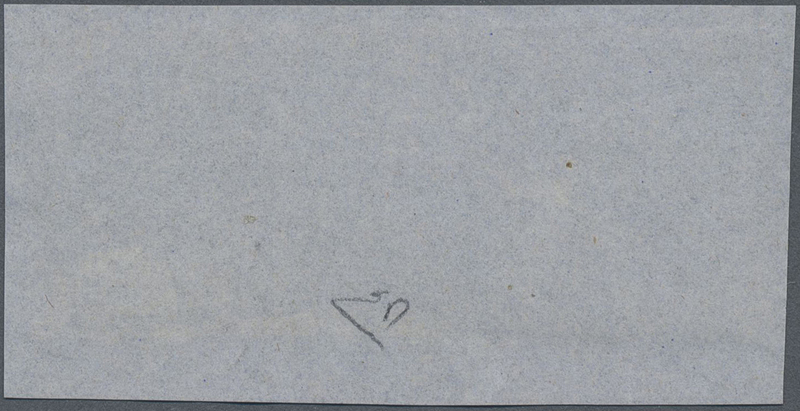 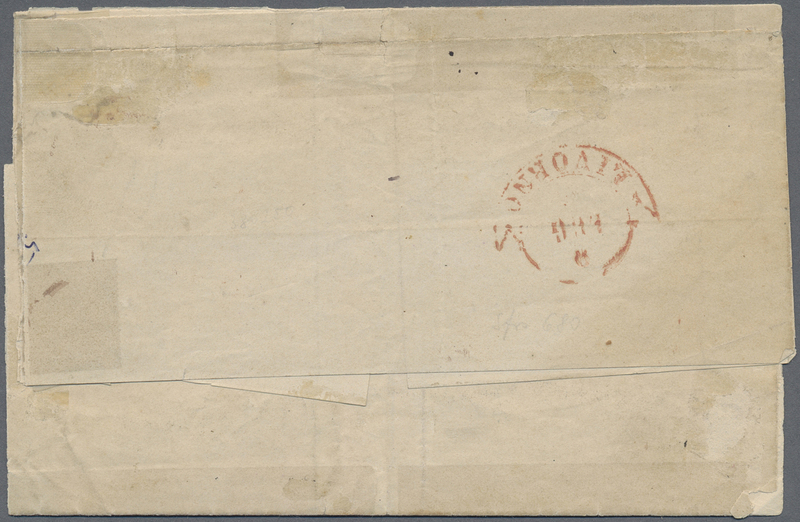 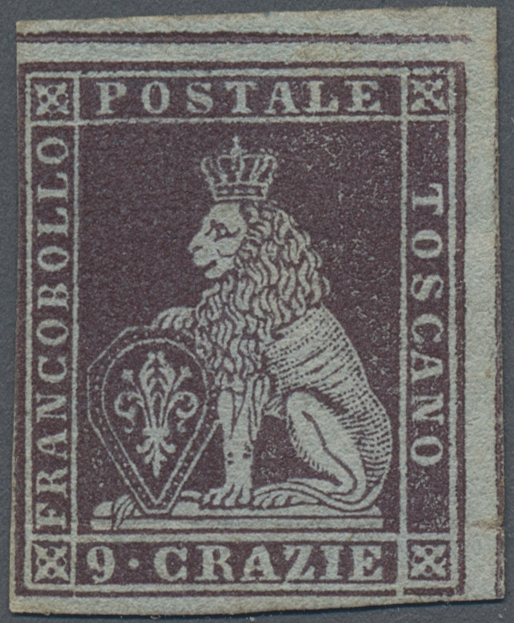 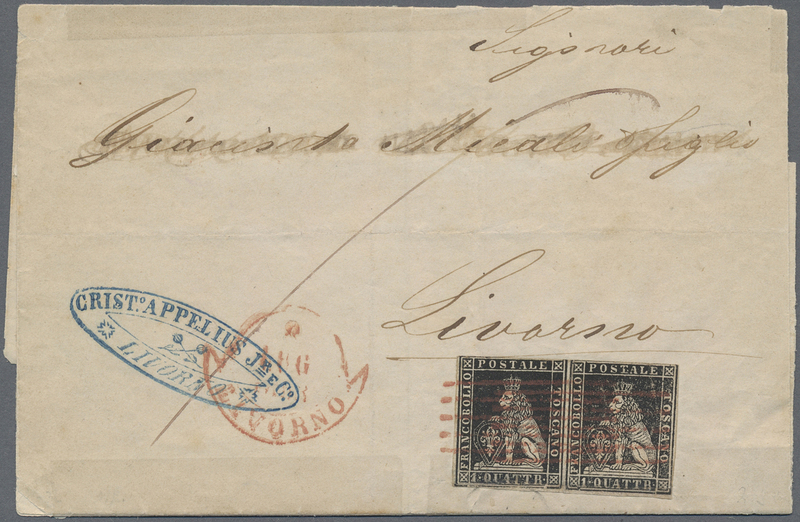 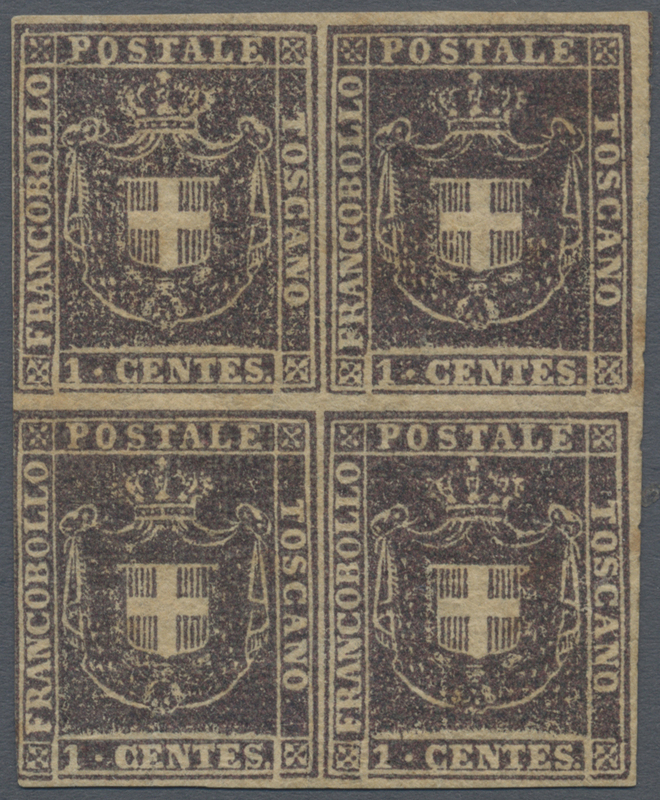 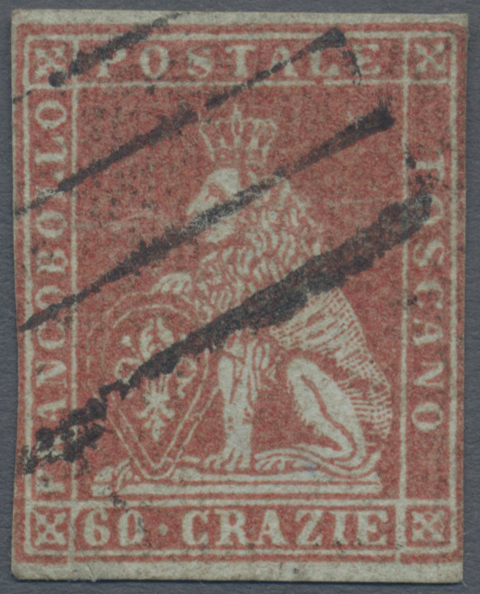 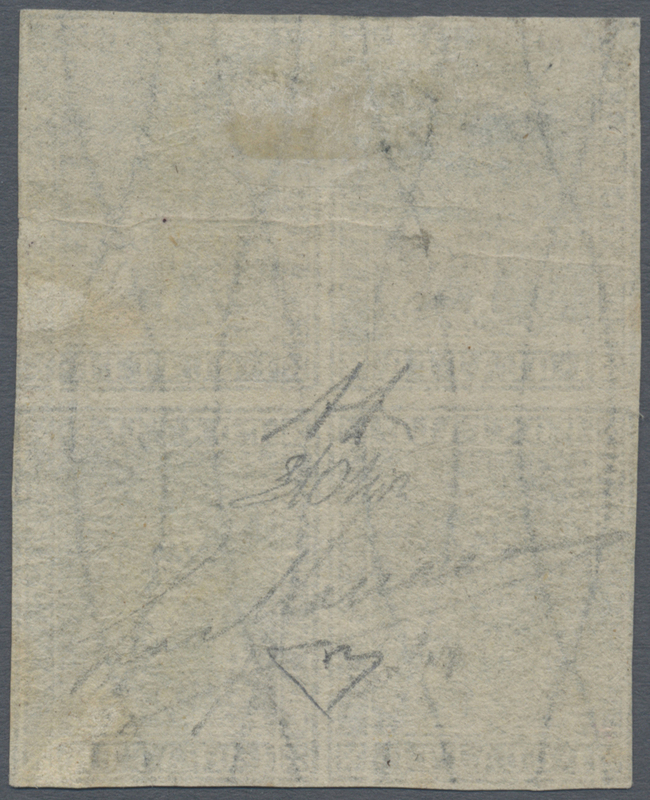 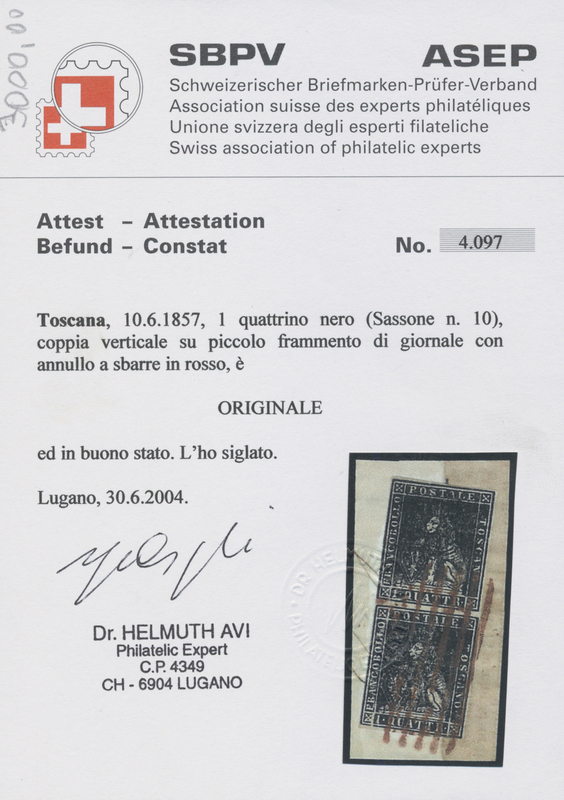 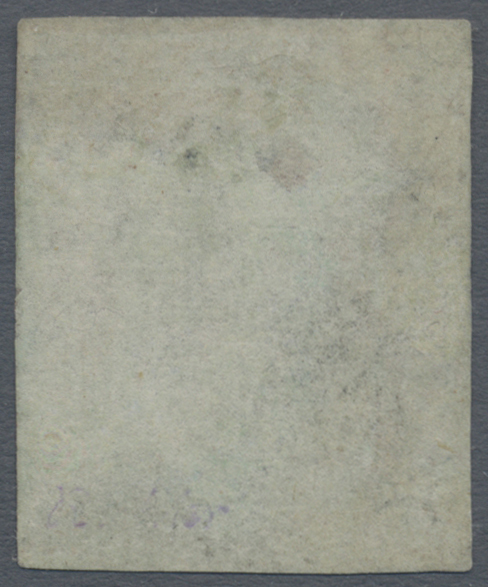 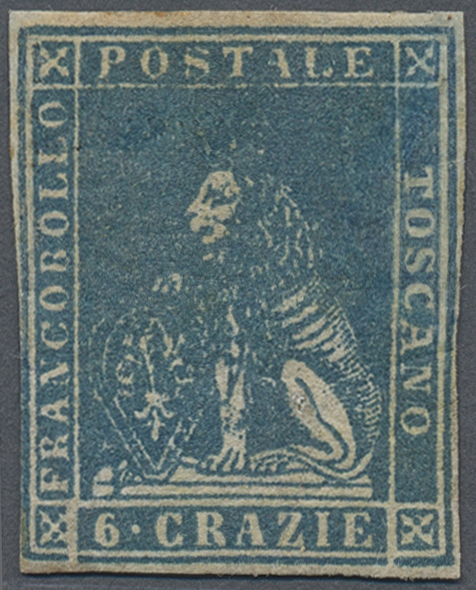 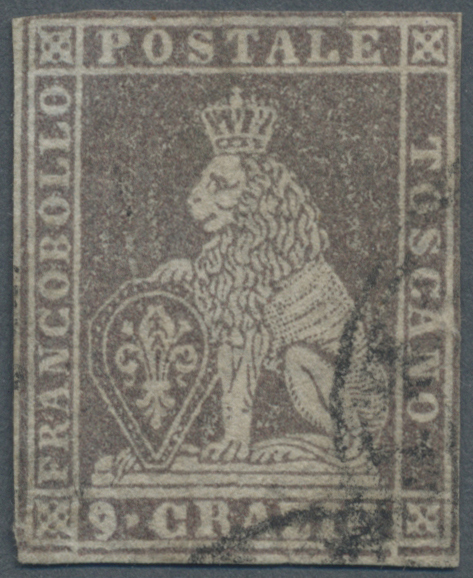 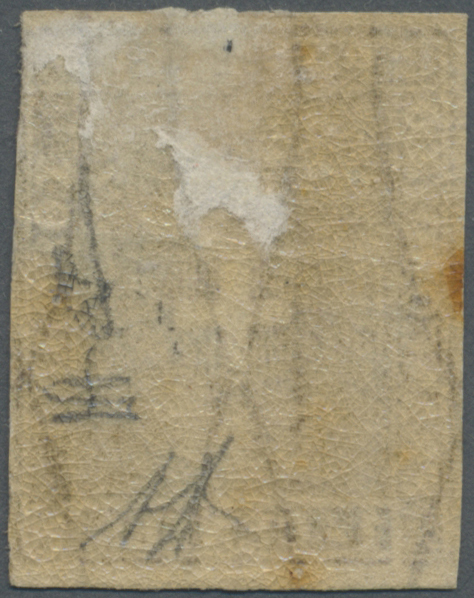 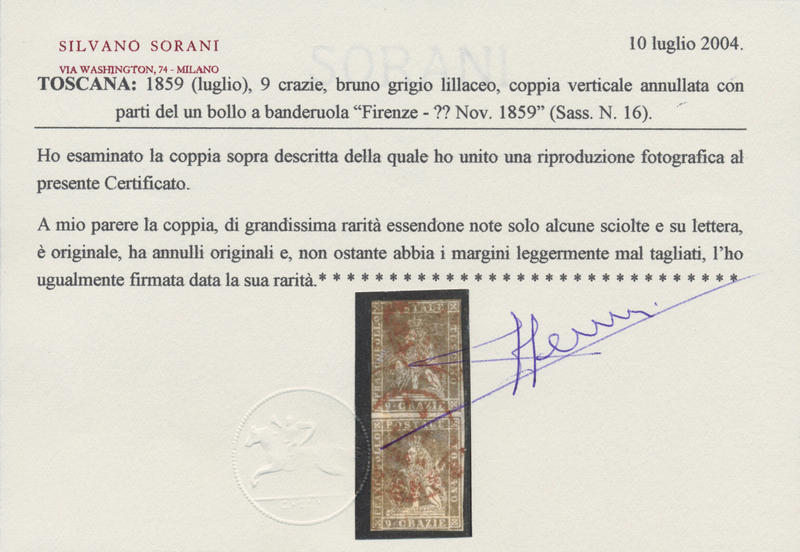 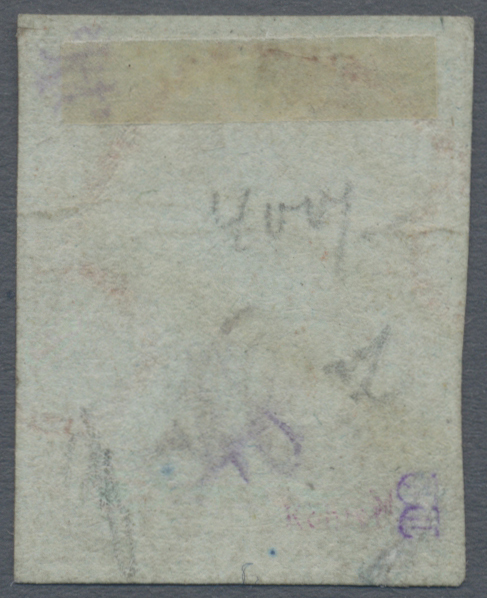 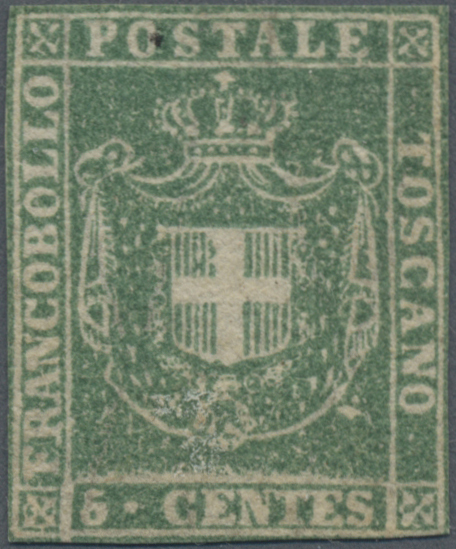 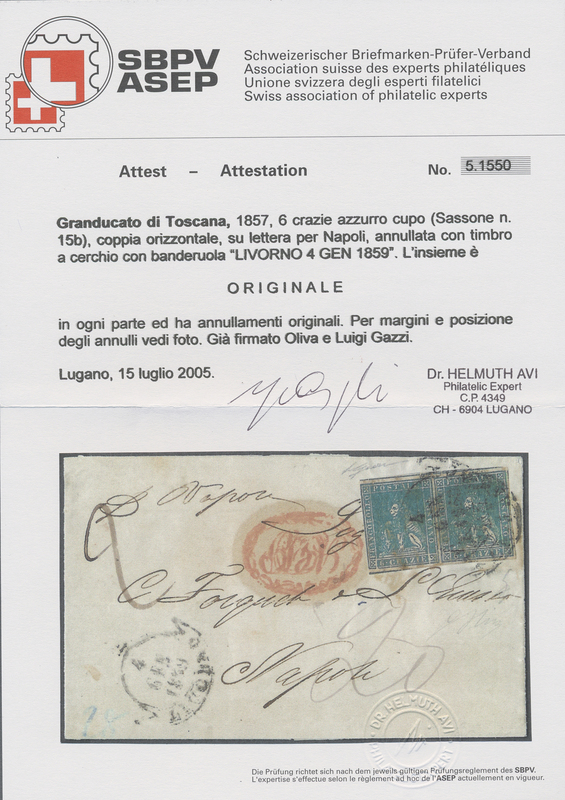 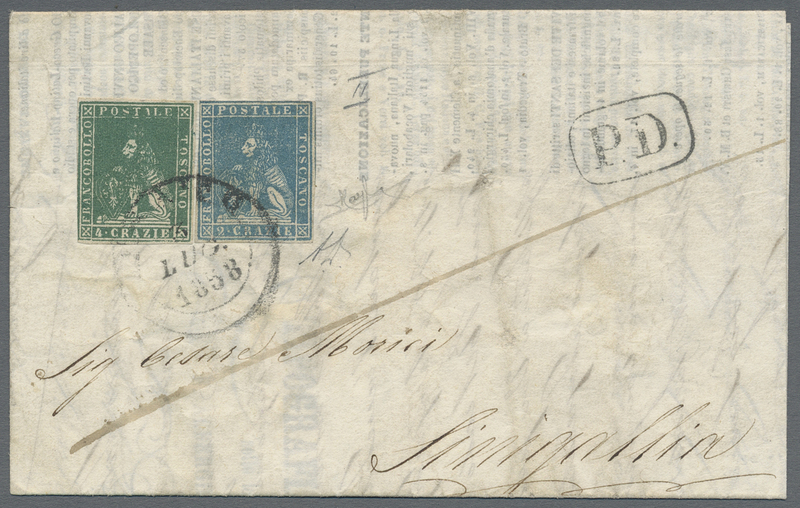 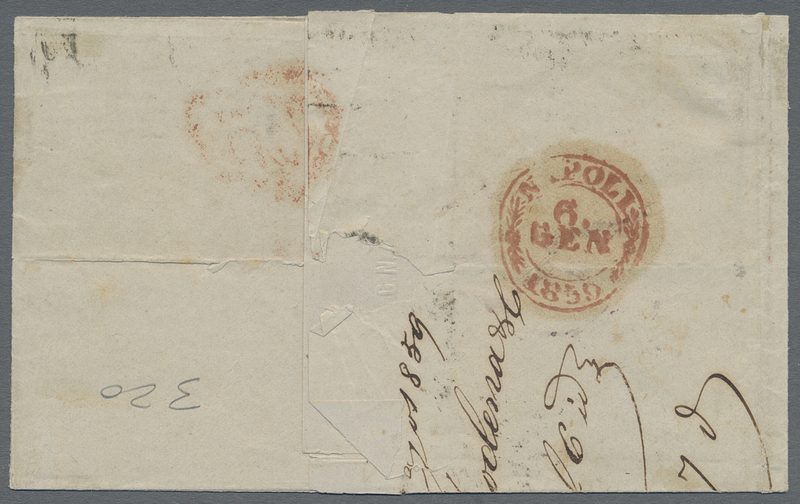 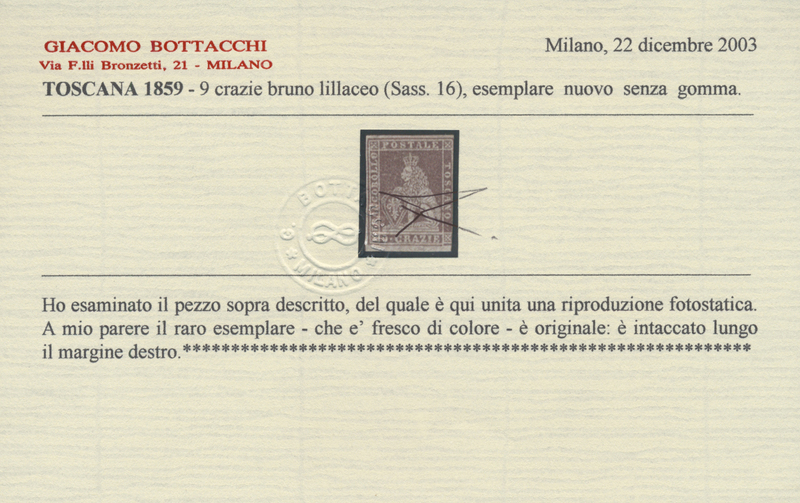 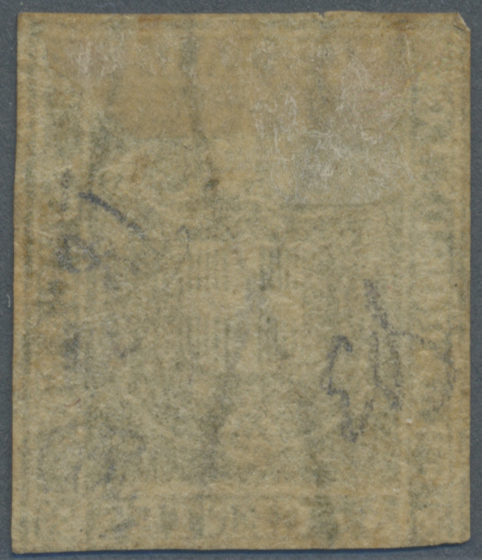 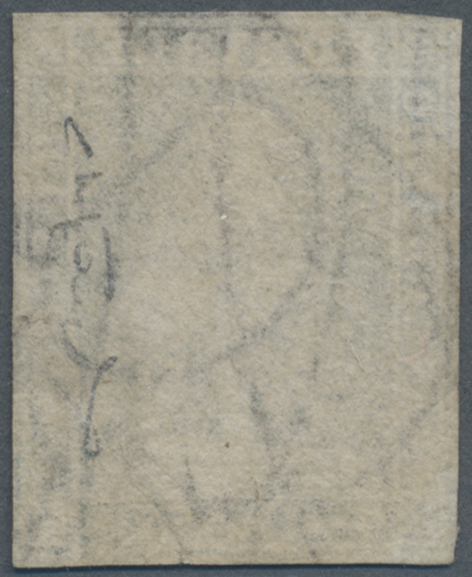 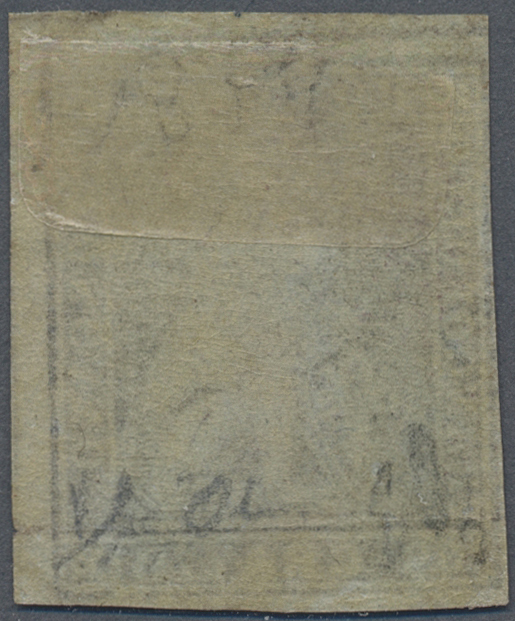 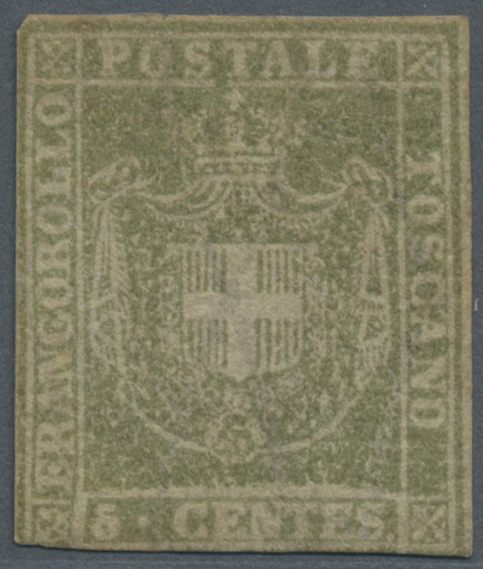 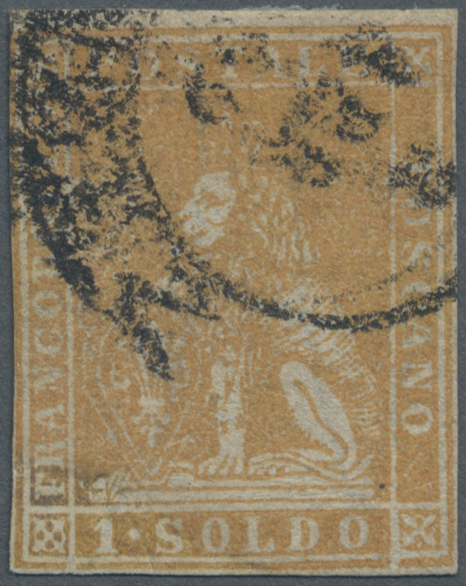 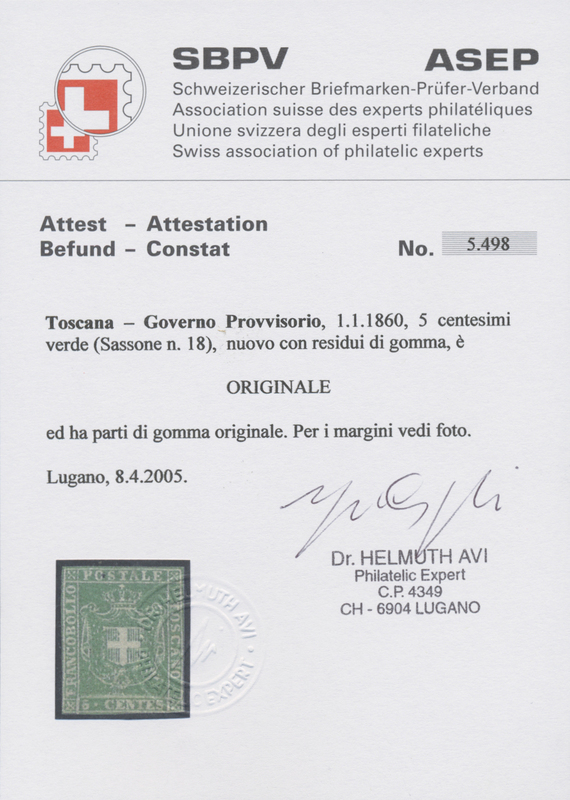 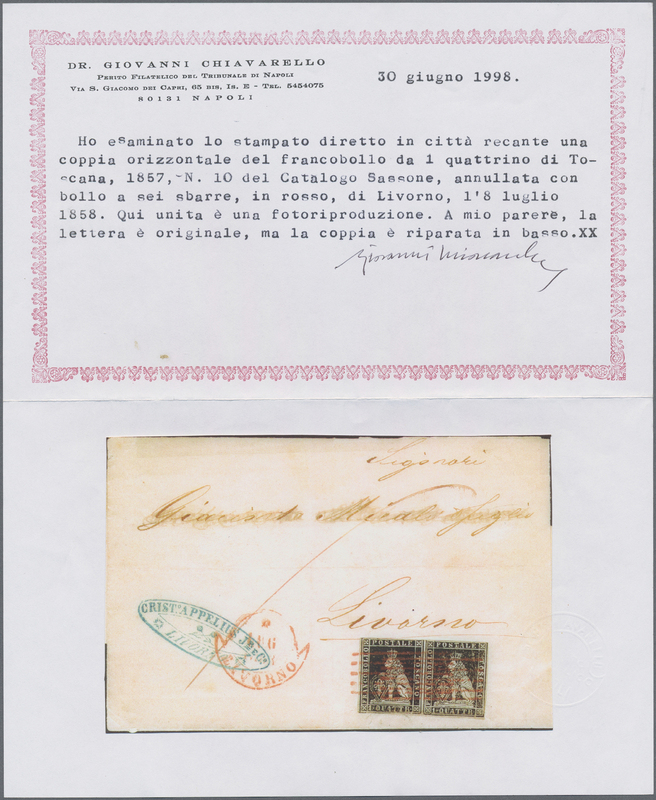 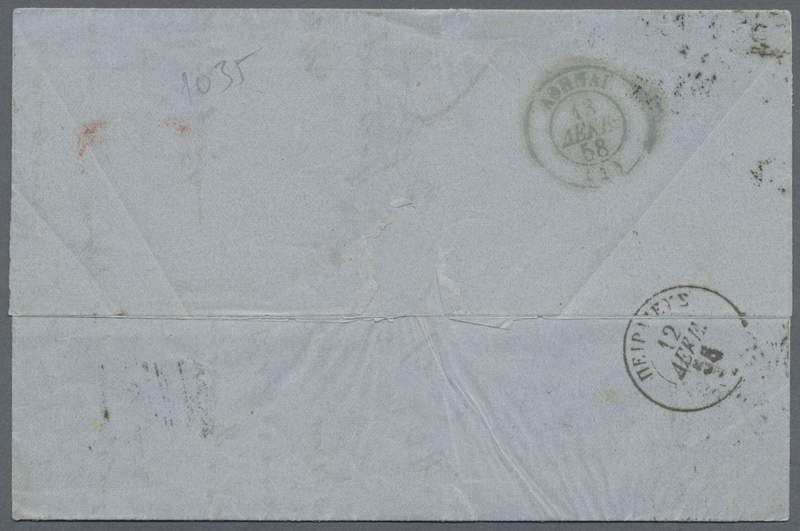 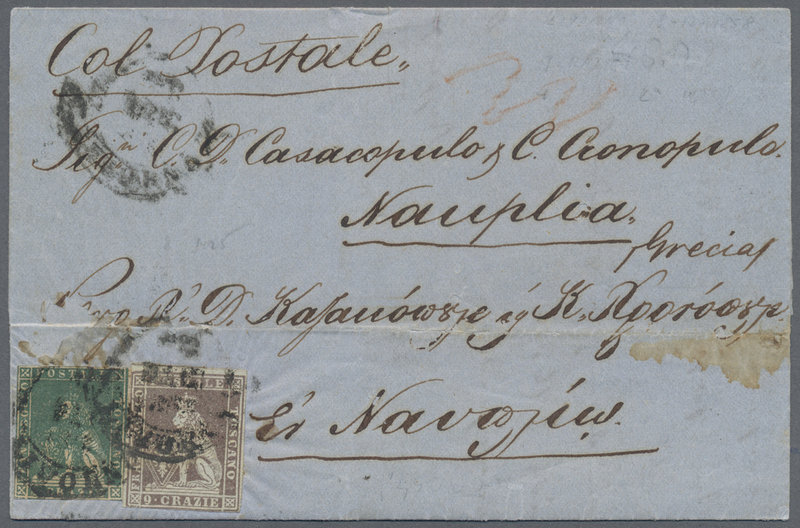 17060 Brief (cover) Briefstück (on piece) Mi 11, Sassone 11 1855: 1 soldo ochre, horizontal pair on a wrapper front of 8 May 1858 from Rocca S Casciano. 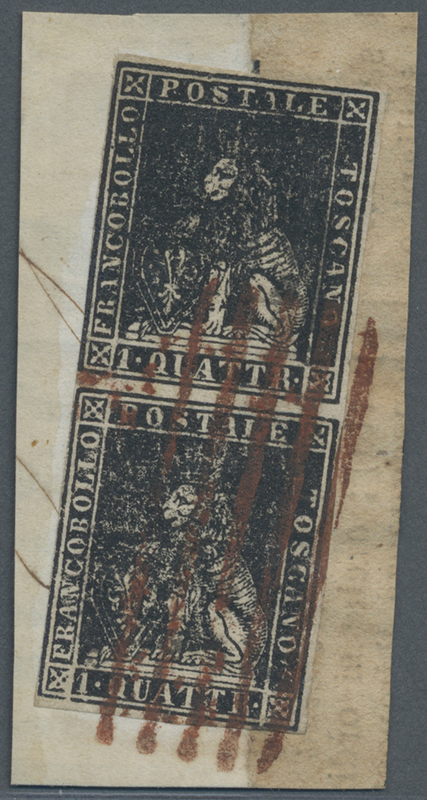 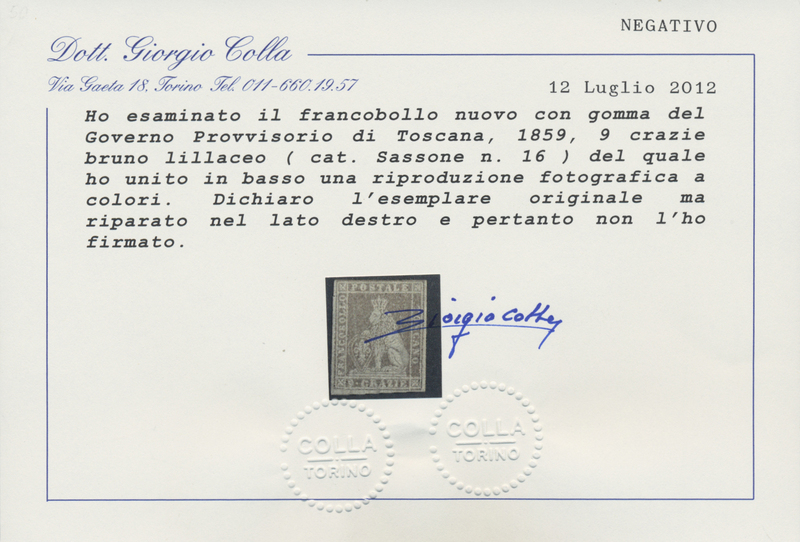 One stamp applied to the edge was torn and the other (which has good margins) has only a tiny split on the right. 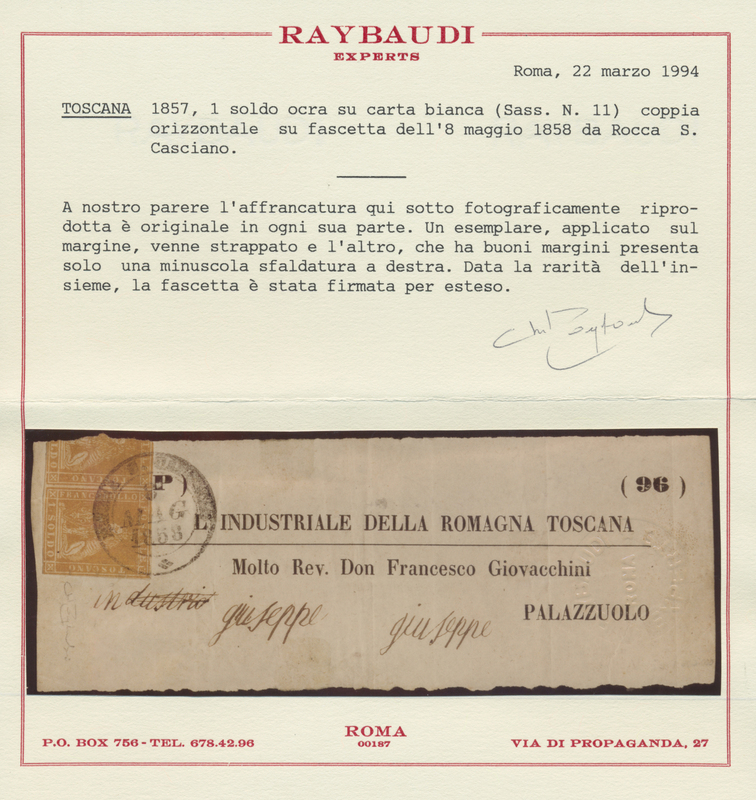 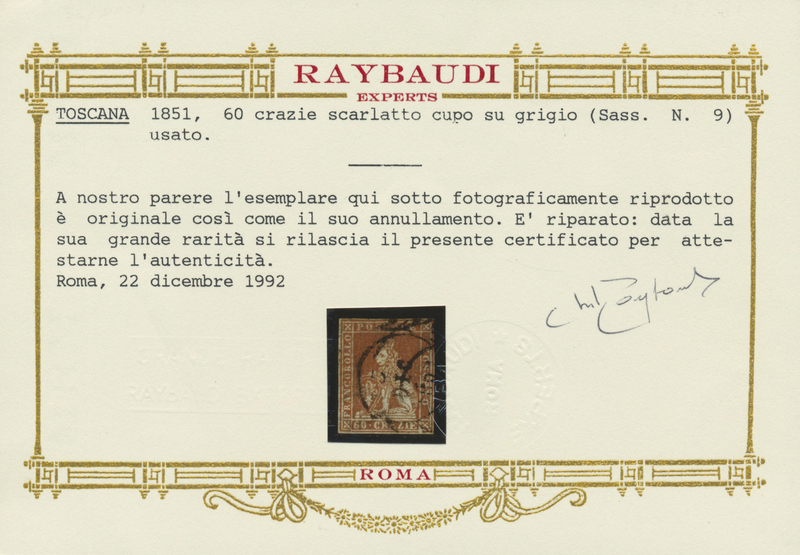 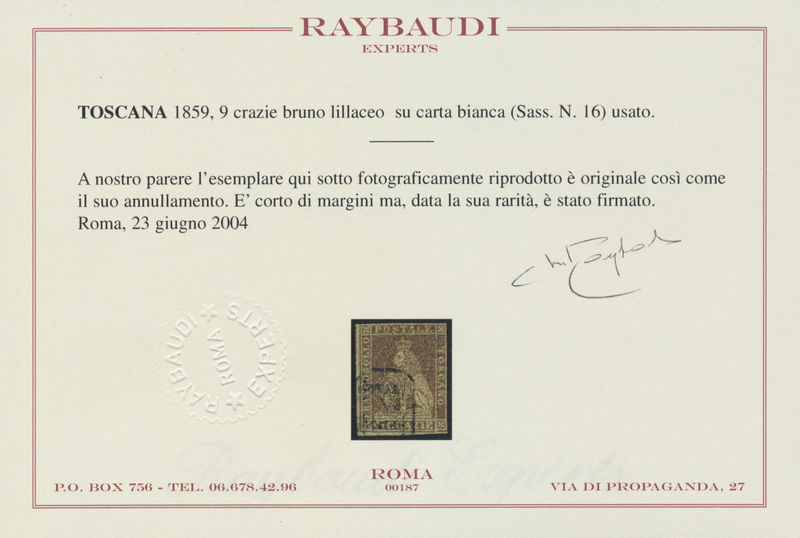 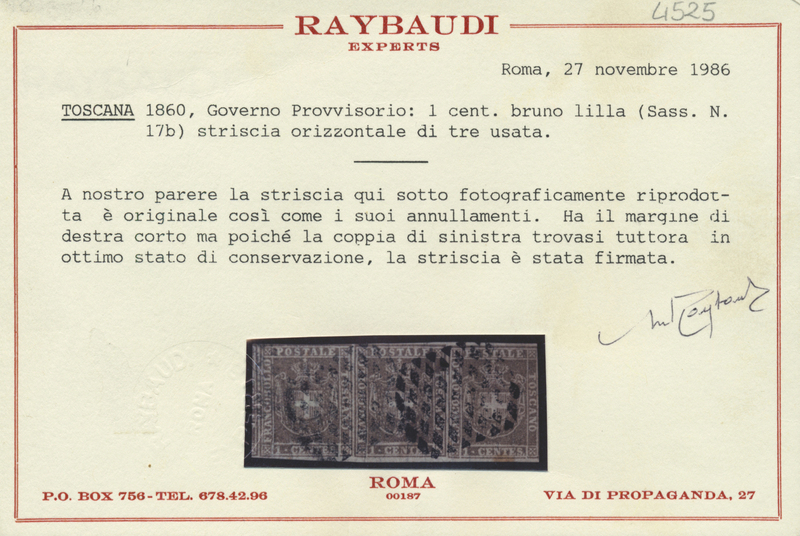 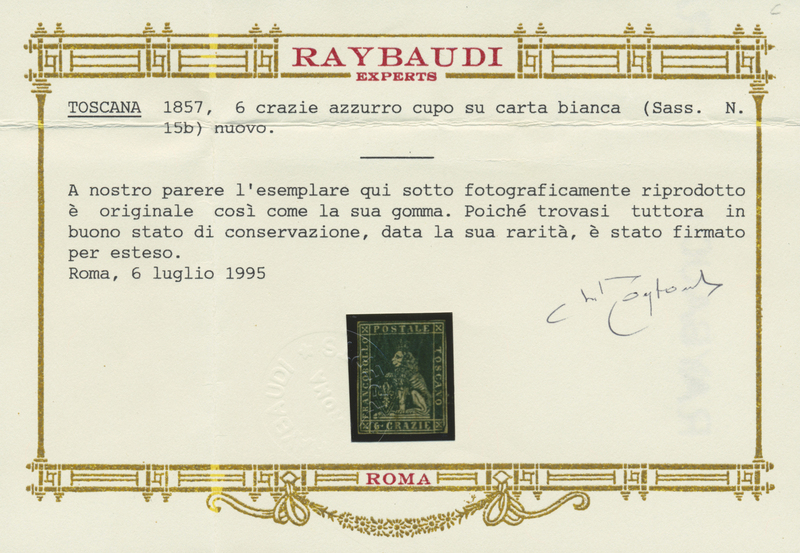 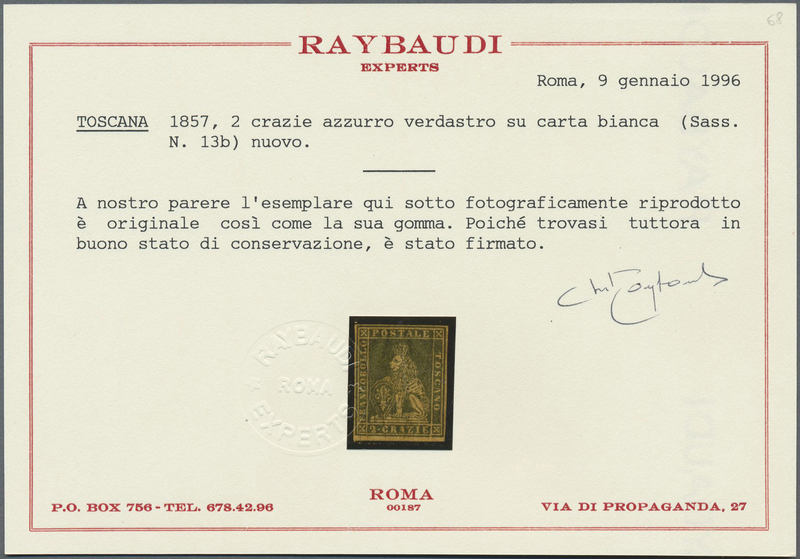 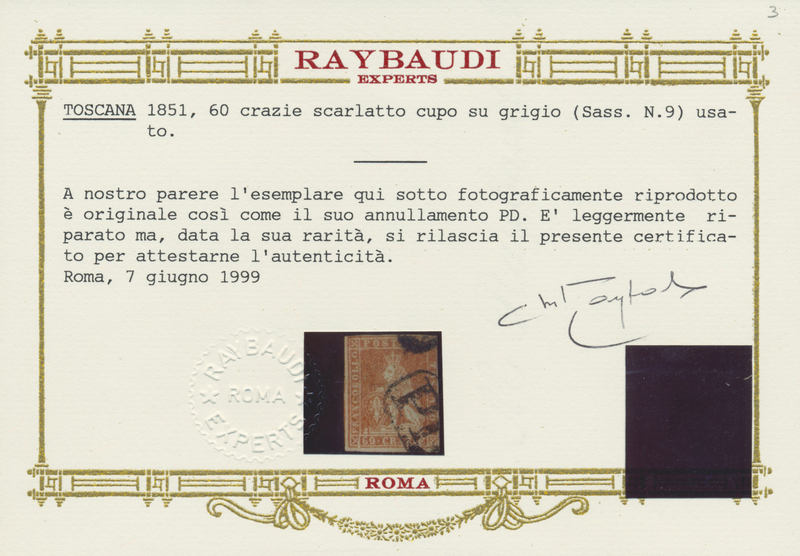 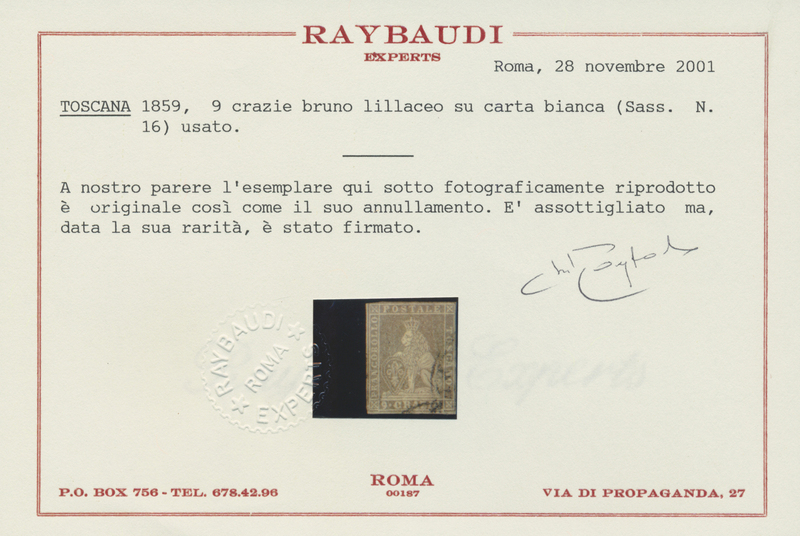 Raybaudi Certified. 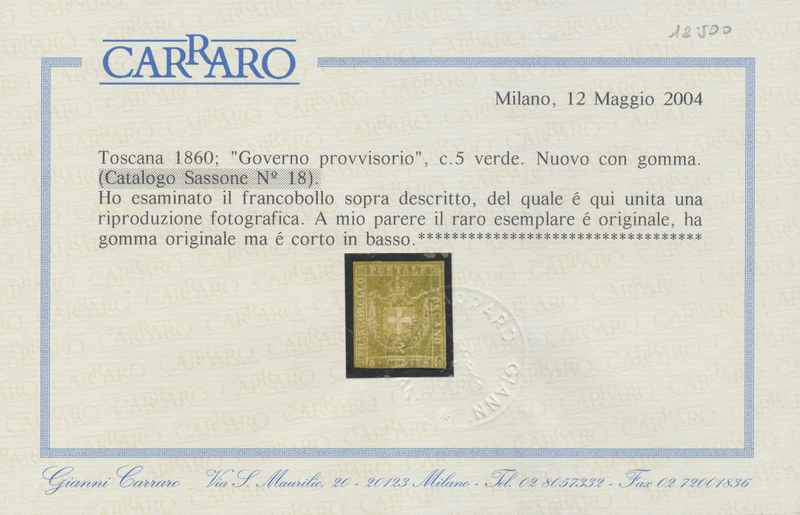 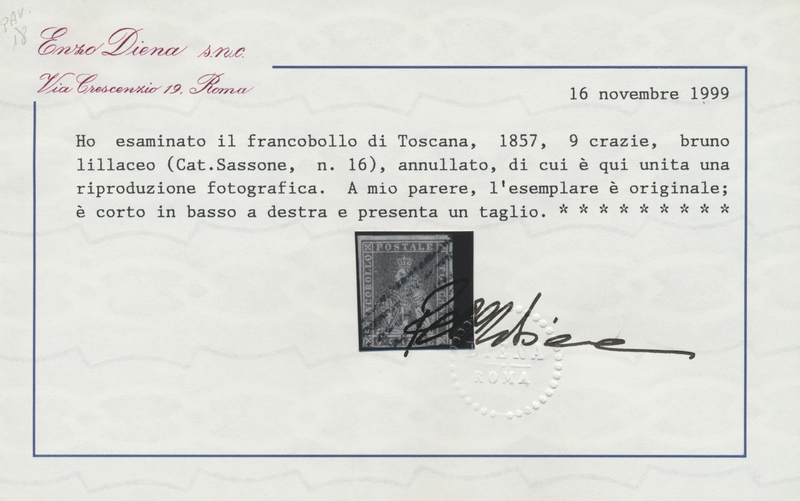 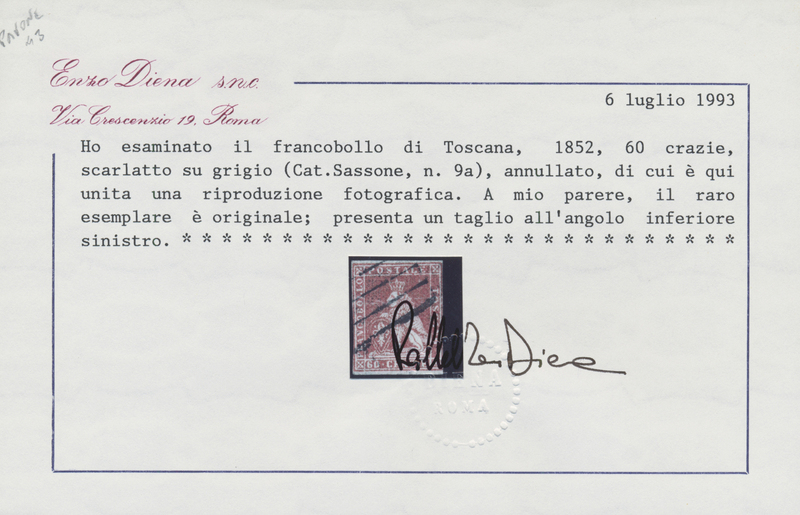 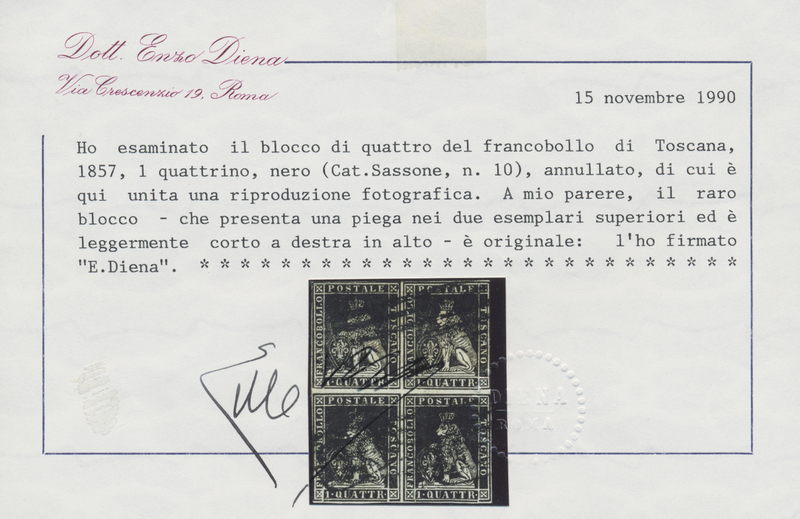 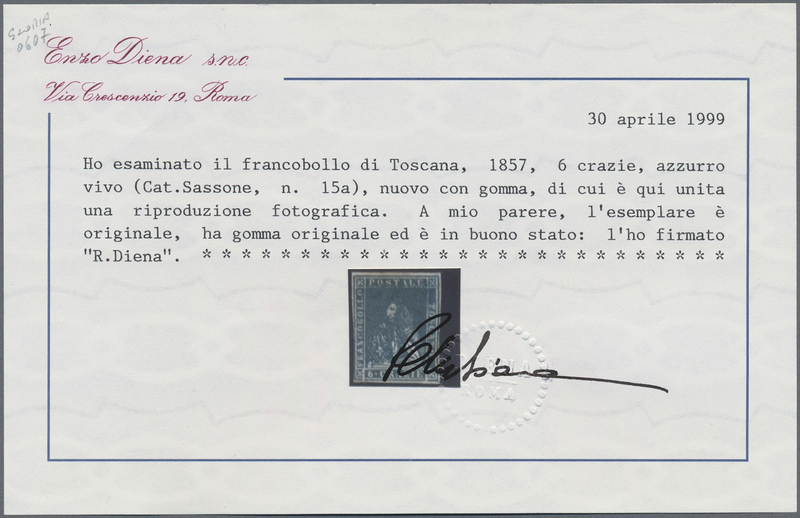 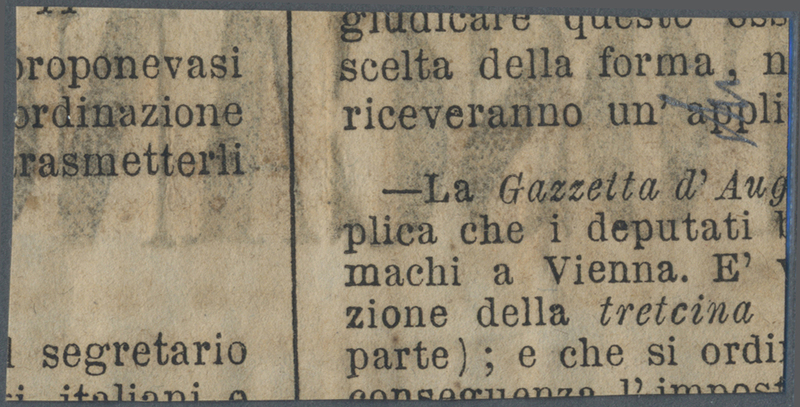 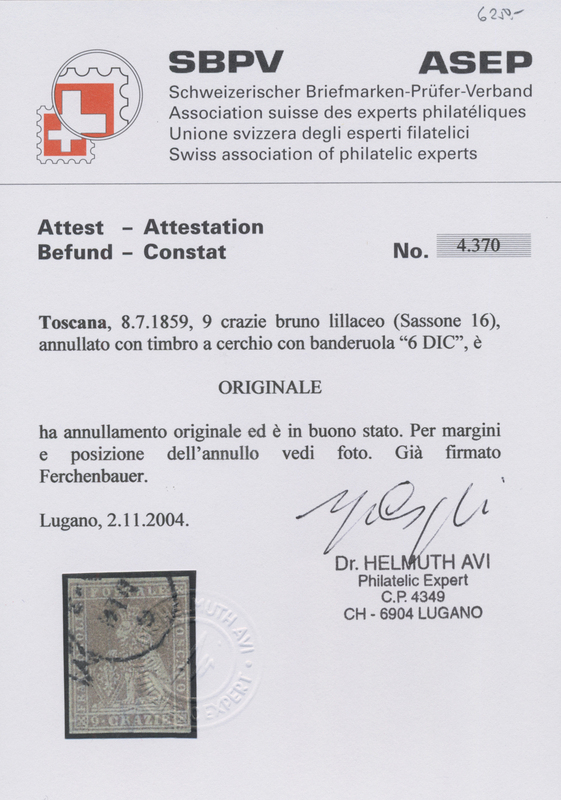 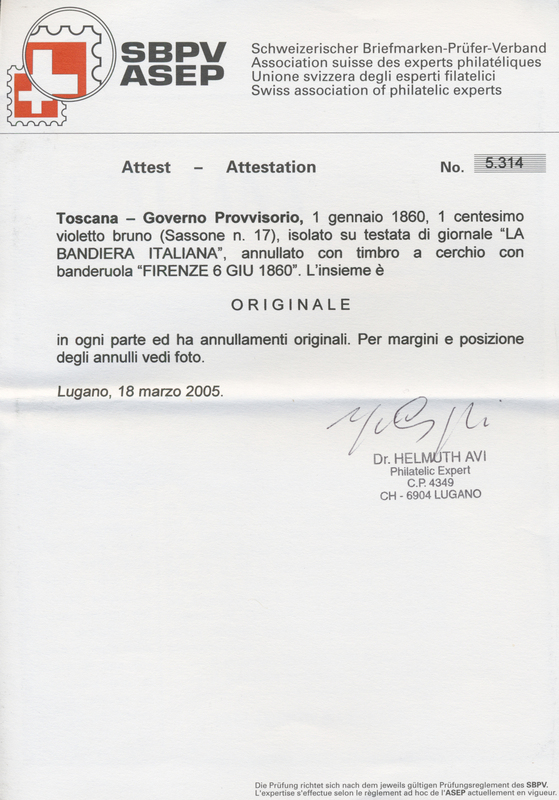 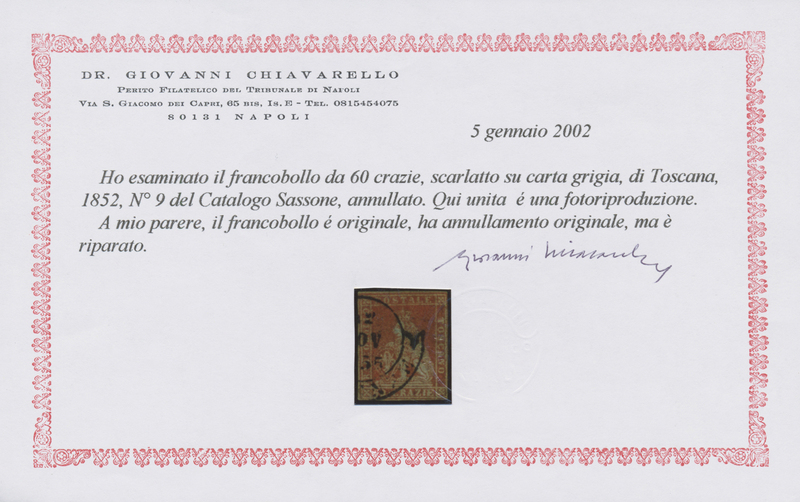 Sassone 55.000++ € (2018) ÷ 1855: 1 soldo ocra, coppia orizzontale su fascetta dell' 8 maggio 1858 da Rocca S Casciano.